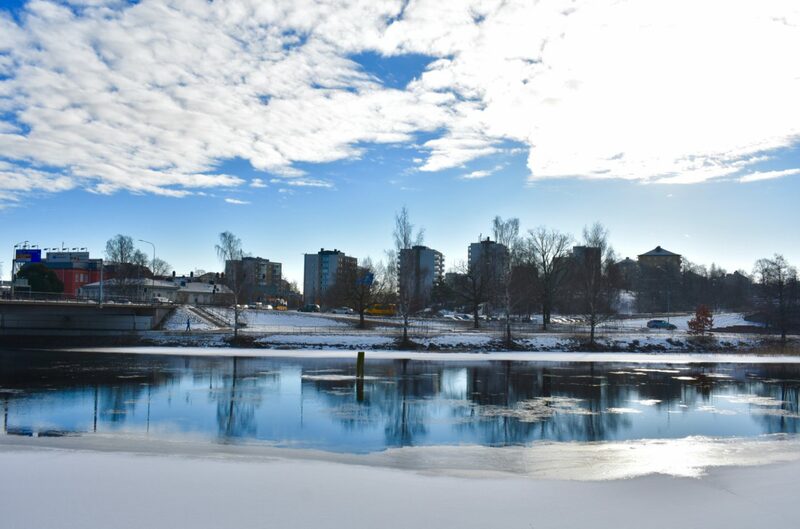 Karlstad is a city of two sides and a city of two seasons – surrounded by both water and endless forest; enveloped in thick layers of snow racking up negative celsius in winter then basked in sunshine and surrounded by greenery in summer. 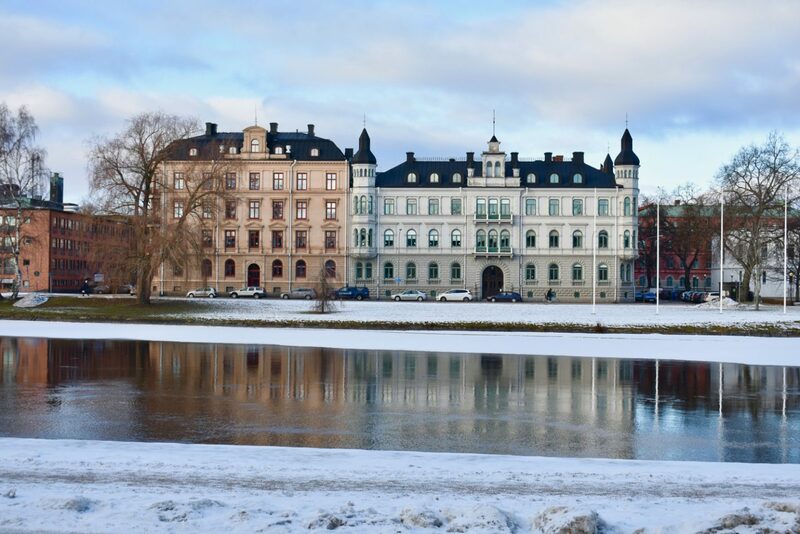 The capital of Sweden’s Värmland region, Karlstad is a city of around 90,000 population, including its environs, which is around the size of Galway or Derry to give perspective, and sits equidistant between Oslo and Stockholm right by Europe’s largest lake, Lake Vännern. 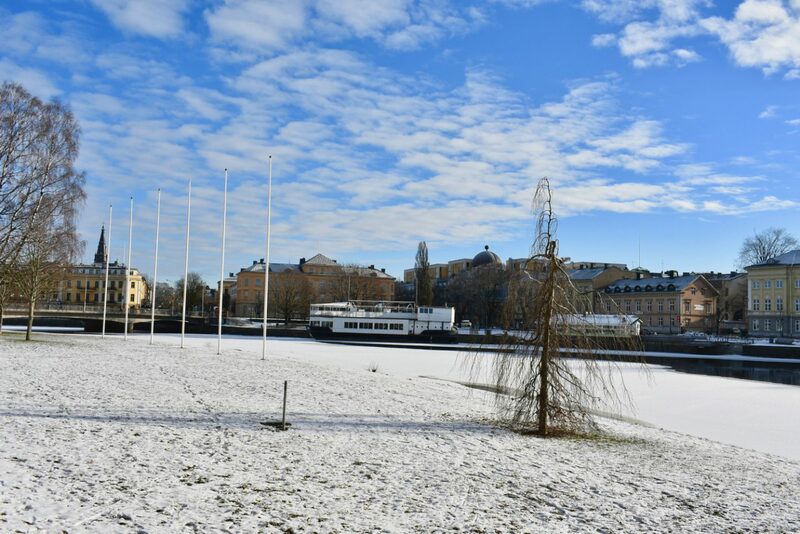 Having begun our massive #6WeeksOfSweden trip in 2018 in this city, here’s how we suggest spending 48 hours in the ‘sunshine’ city of Sweden on your own trip. 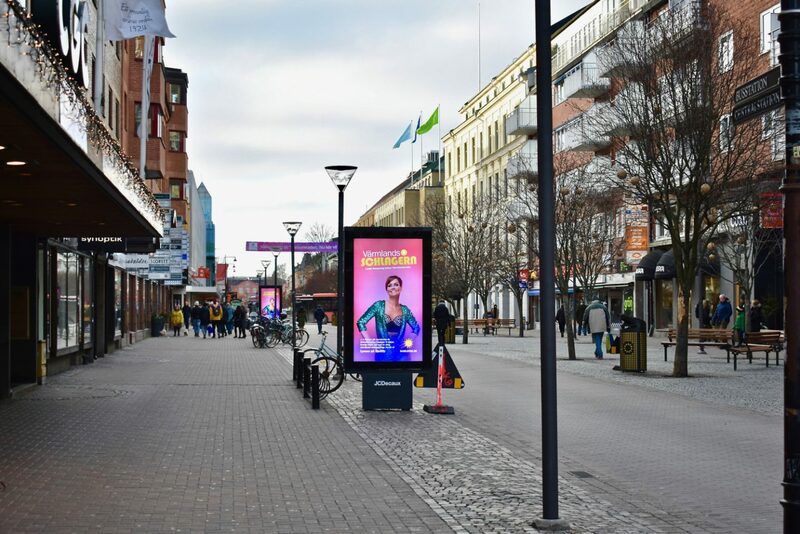 ‘Sola i Karlstad’ is a well-known tagline for the city, which translates as ‘Sun in Karlstad’, but it doesn’t necessarily relate to the sun itself – even if the icon of the city is a smiling sun. It actually refers to a local 18th century waitress, Eva-Lisa Holt, who was so cheery, friendly and nice that she received the nickname ‘Sun of Karlstad’, so much so that it stuck. Across Sweden, everyone now knows this phrase to describe Karlstad in an affectionate way. 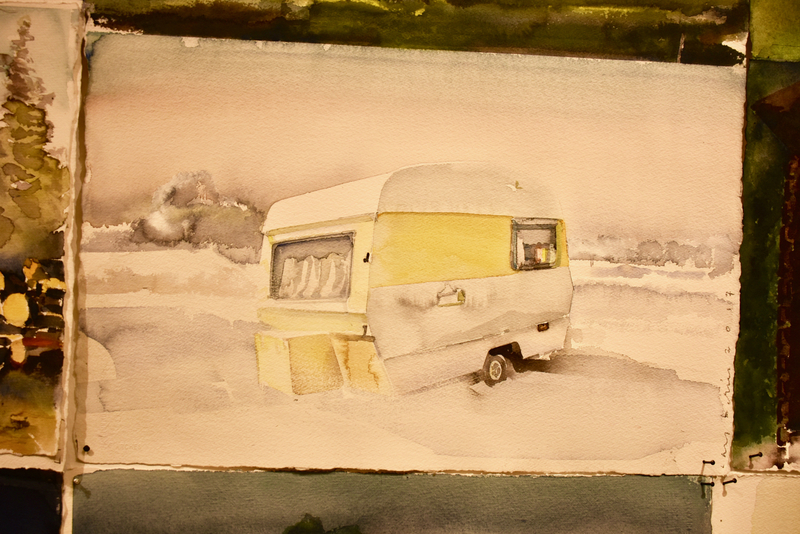 So summers here may be balmy, beautiful and basked in sunshine, but the name refers to the warmth and hospitality of its locals, really. 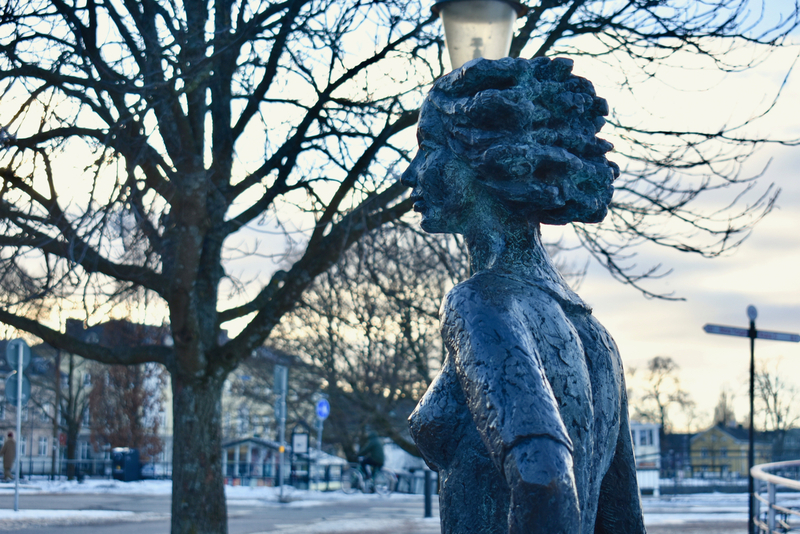 Say hello to the statue of Eva-Lisa on Museigatan right by the banks of the Klarälven. 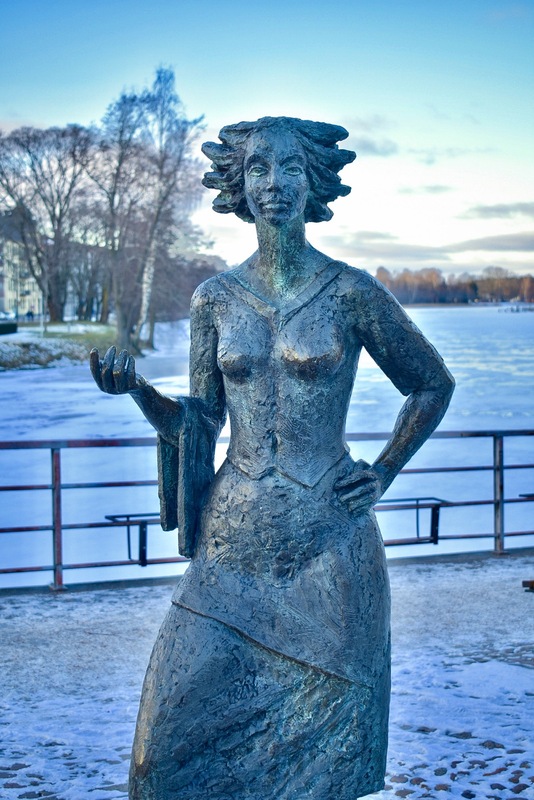 She stands directly across the river from another famous female Karlstad figure immortalised, Selma Lagerlöf. 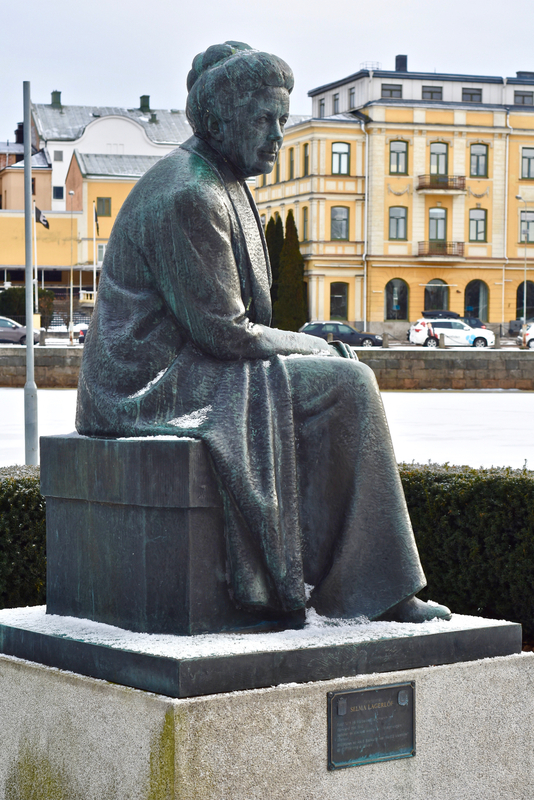 A Swedish writer and teacher, who was the first female in the world to receive the Nobel Prize in literature. Karlstad’s destination restaurant, Bröder Olssons Elektriska is a dreamy restaurant set in an old electrician’s shop which is beautifully styled with a stunning cocktail bar, semi-open kitchen, lots of cosy booths and a great menu of Swedish dishes. Sympathetic to its history the restaurant has lots of details harking back to its former use and the central bar is a celebration of this with an upcycled electrician’s cabinet as the main design detail and a seriously great selection of cocktails, wines, beers and spirits. 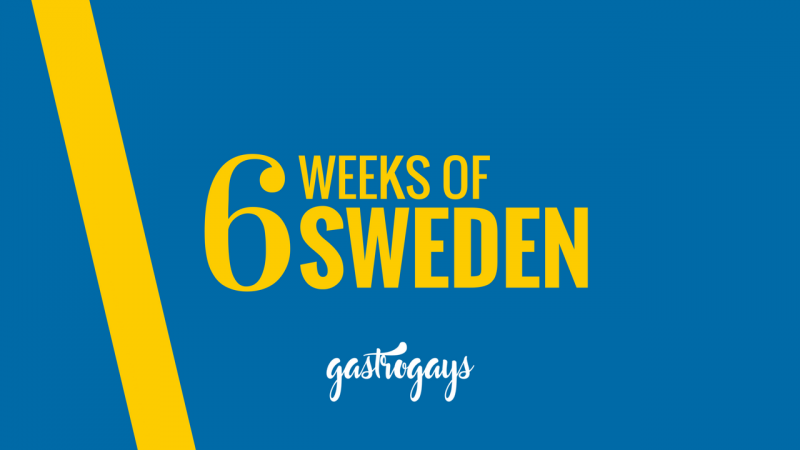 We shared dishes of lamb, fish, duck and also a ‘Swedish Pizza’ which was a large round of knäckebröd gratinated with Sweden’s most beloved Västerbotten cheese and topped with pickles onions and cream. 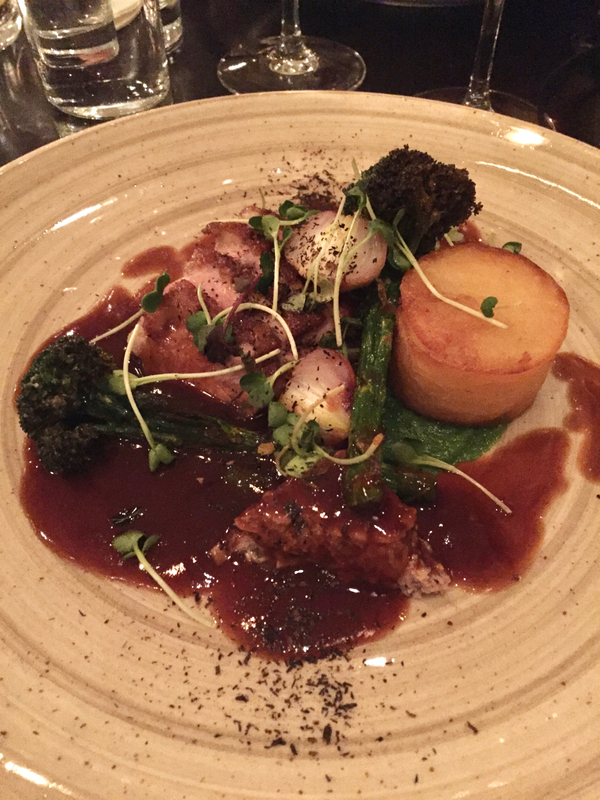 It really was a sensational dinner – our favourite from our time in Karlstad – dinner would probably require a booking, though. Every day they open they offer a lunch special for 105SEK (€10!) which has a choice of three dishes – the ‘dish of the day’ which is the same on any given weekday, a vegetarian dish and a chef’s choice on the day. Really good value and great setting for lunch. 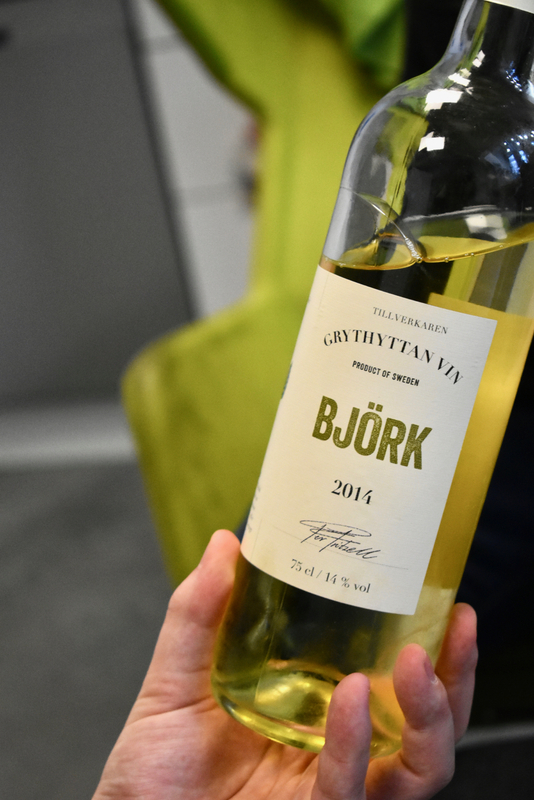 For something a little more pricey, Blå Kök och Bar is one of the city’s top restaurants. 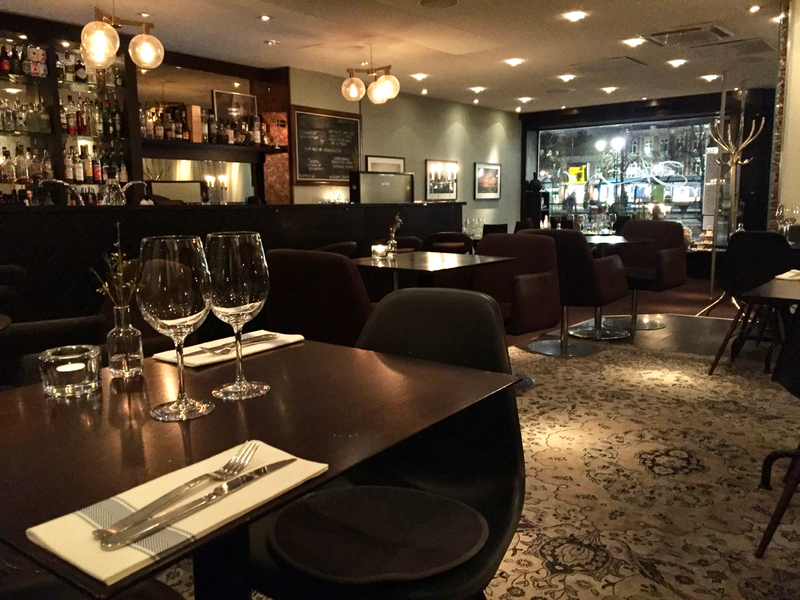 Set right on Stora Torget, the restaurant has a sleek and stylish interior with around 20 or 30 tables and a menu that celebrates local Swedish cuisine. A great wine list accompanies. We had three courses each on a set menu for – It’s a little pricy, so be prepared. 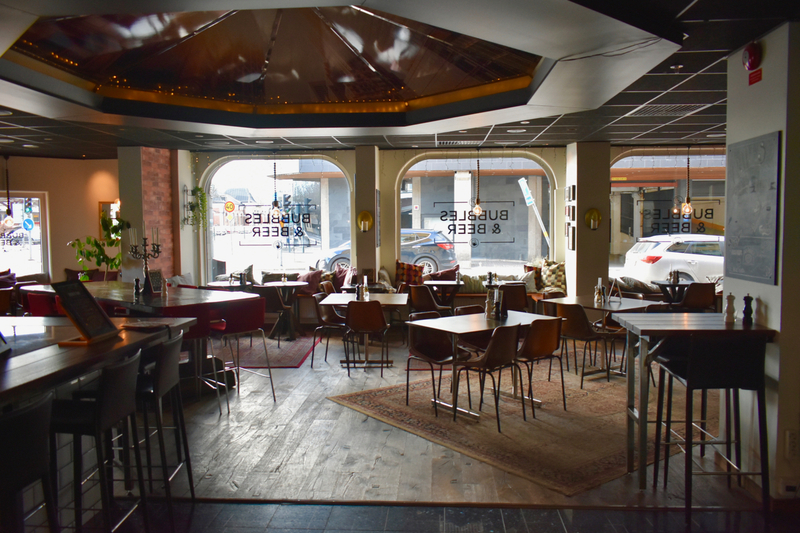 Just our luck that the week we visited Karlstad, hugely popular local tapas bar Barón was moving from its original location to its stunning new digs in a former bank building along Stora Torget, Karlstad’s central square. We’ve heard great things about this tapas bar which serves mediterranean and Swedish dishes in tapas portions but unfortunately we couldn’t try it out as it was re-opening a couple of days after we left. Definitely top of the list for our return trip to the city at some point in the future! A destination cocktail bar in Karlstad, Koriander is a popular cocktail lounge specialising in gin, so naturally we were sold! 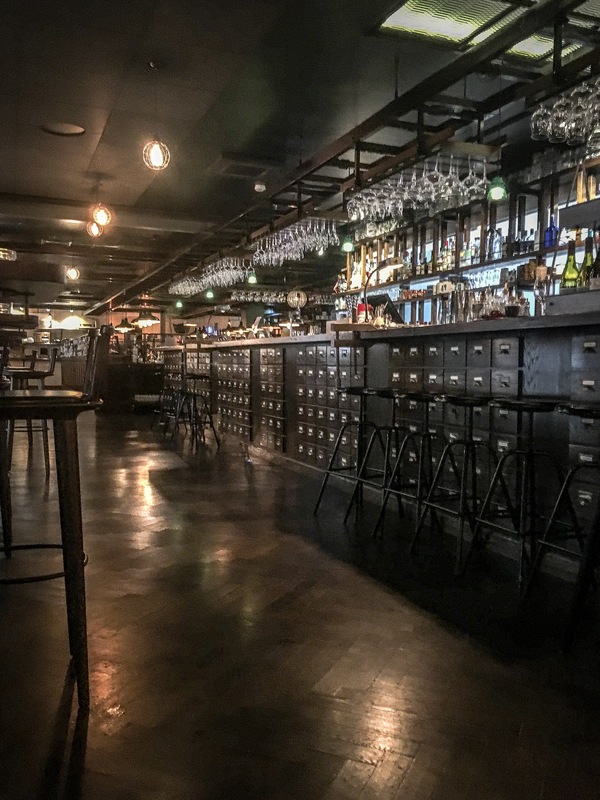 The craft gin and tonic movement hasn’t really taken hold in Sweden like in other parts of Western Europe, so it’s still very niche and hard to find a great G&T, but Koriander is the best bet in the city. A nice place to begin the evening before dinner or to chase the midnight hour. 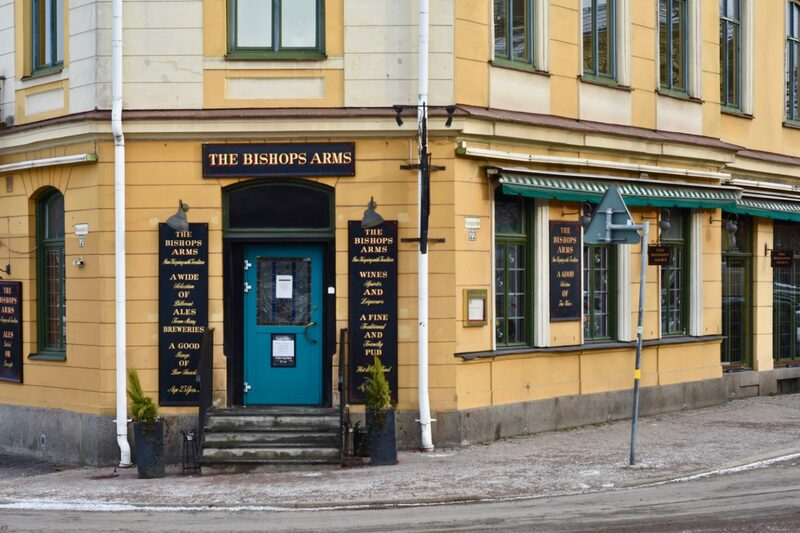 The Bishop’s Arms – Yes it’s an English pub but it’s in a really old part of the city and it boasts one of the best beer selections in all of Karlstad. It also serves a good value food menu which isn’t going to change the world but is fitting sustenance for an evening of sampling some great beers from Sweden and beyond. 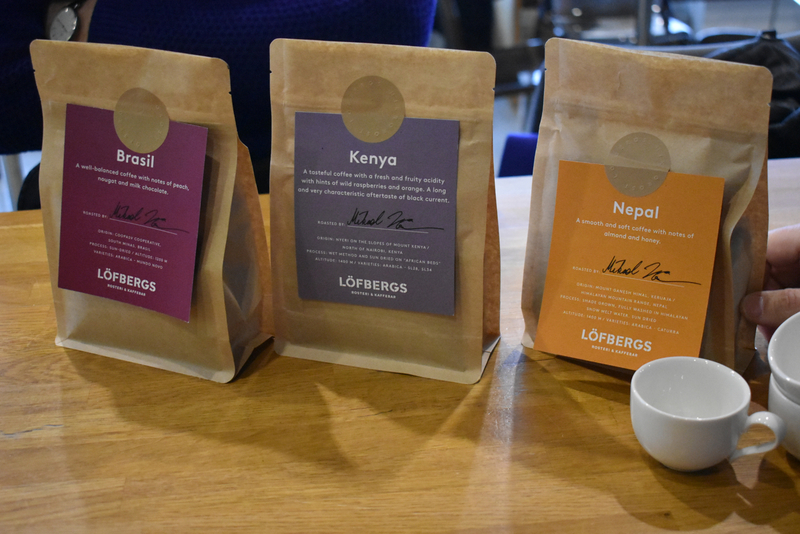 One of our very first stops when we arrived in Karlstad was a visit to Löfbergs, the premier coffee roastery in this part of Sweden and one of the biggest in the Nordics. 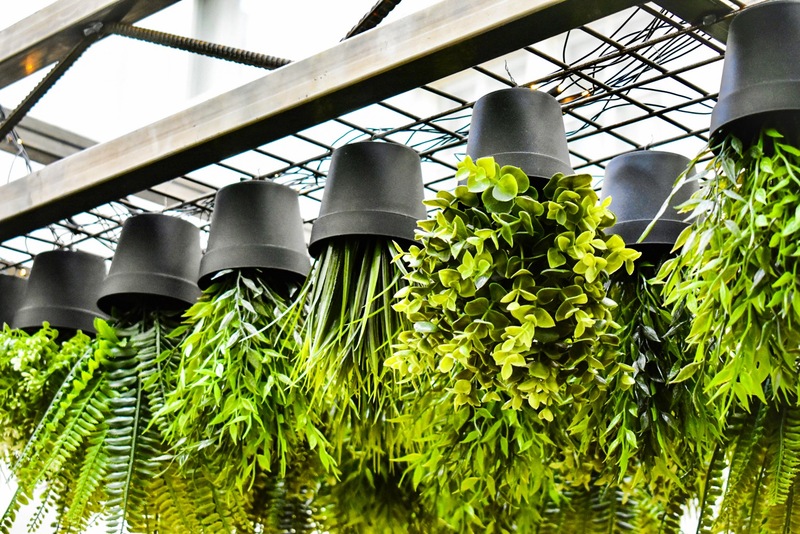 A key business for the city which has been around over 100 years and now is in its fourth generation owner, it’s transformed a large area of the city and is serious about organic coffee. 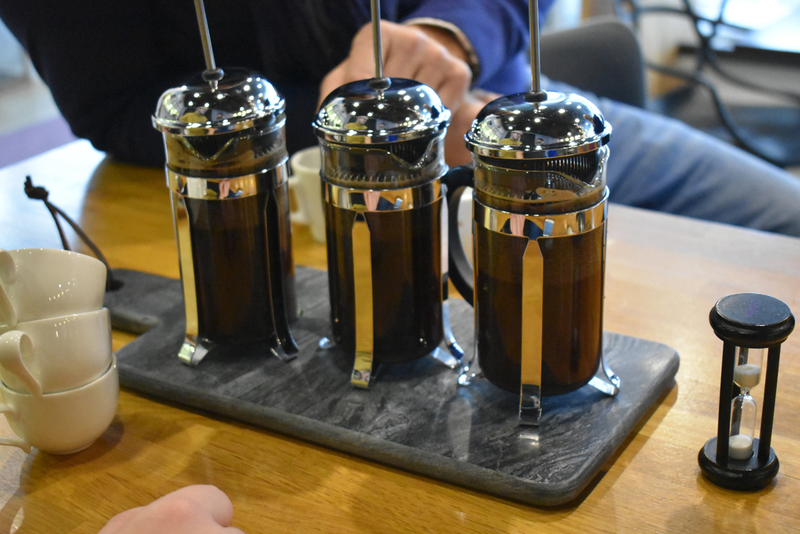 We visited their facility and offices as well as having a bit of a tasting session in their in-house kaffebar. Read the full post on Löfbergs Rosteri och Kaffebar for more. 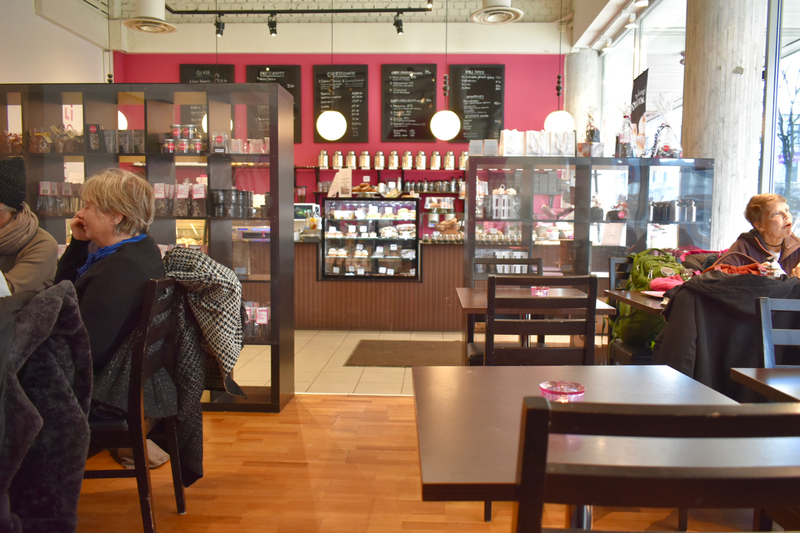 Carli is a nice little cafe and ice cream shop in the city centre which has lots of sweet treats, glass (ice cream in Swedish) flavours and well-made coffee, as well as some all-day light bites too. Colourful and spacious, they also have a gorgeous selection of hand-made chocolates and you can also peer into their kitchen to see what’s going on! 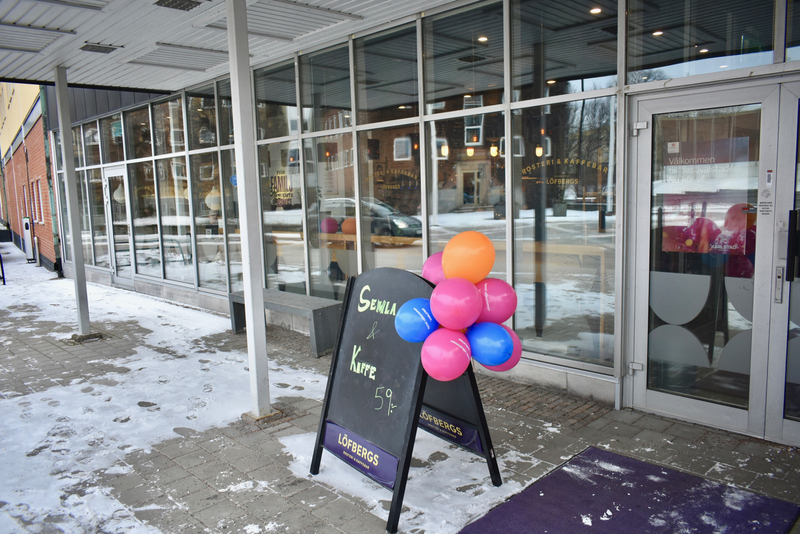 We also stopped by the award-winning local bakery and café Swenströmskas Stenugnsbageri. We met the owner Moa Nässtrom and she and her head pastry chef Ronnie Dyhr-Nielsen took us through a baking lesson in the iconic Semla bun. A Semla (plural Semlor) is a yeasted wheat bun, often flavoured with cardamom, which is filled with a mandelmassa (almond and sugar paste) and a generous piping of freshly-whipped cream before being capped and topped with a dusting of icing sugar. 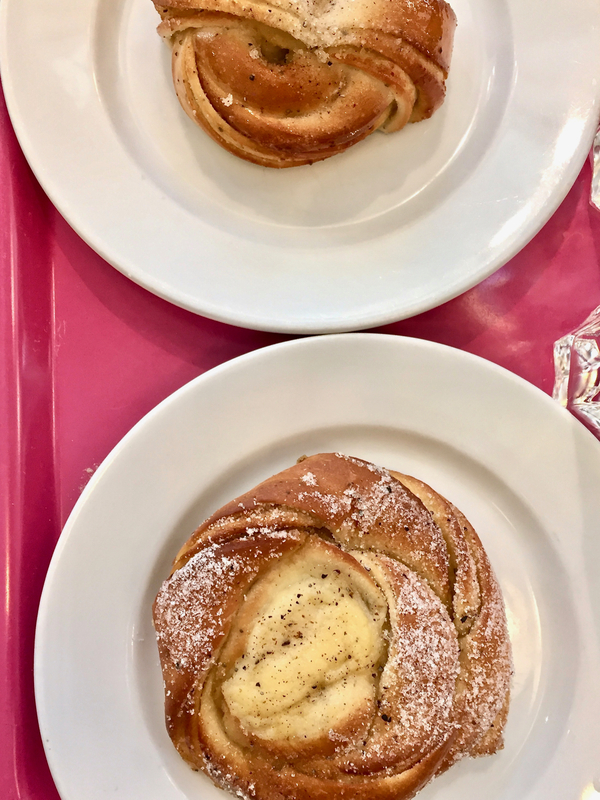 These buns are iconically Swedish and traditionally eaten at this time of year, between New Year and Easter, but more specifically just before Lent on Fettisdagen (Fat Tuesday) – our equivalent to Pancake Tuesday. Swenströmskas will serve around 4-5,000 of these buns on that one day alone, which this year takes place on Tuesday 13th February. They’re expecting it to be extra busy all week, as it falls the day before Valentine’s Day too. We were tasked with preparing an entire tray each, 20 buns (already baked and cooled) which we then cut the tops off, filled with almond, then cream, re-affixed the tops and dusted. Easy, right? Obviously in safe hands with these talented bakers instructing us, but our efforts were amateur at best! There’s a real skill to piping these, as the mandelmassa is incredibly thick and sticky and the cream has to be the exact right stiffness to hold its shape whilst it also has to have height and perfect edges. 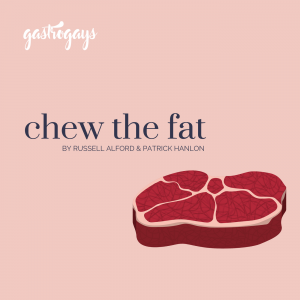 We got to eat one of our own creations too, and it was messy AF and we loved every second of it. NWT, the local newspaper, were there too and caught it all on camera whilst interviewing us about our blog and travels around Sweden. 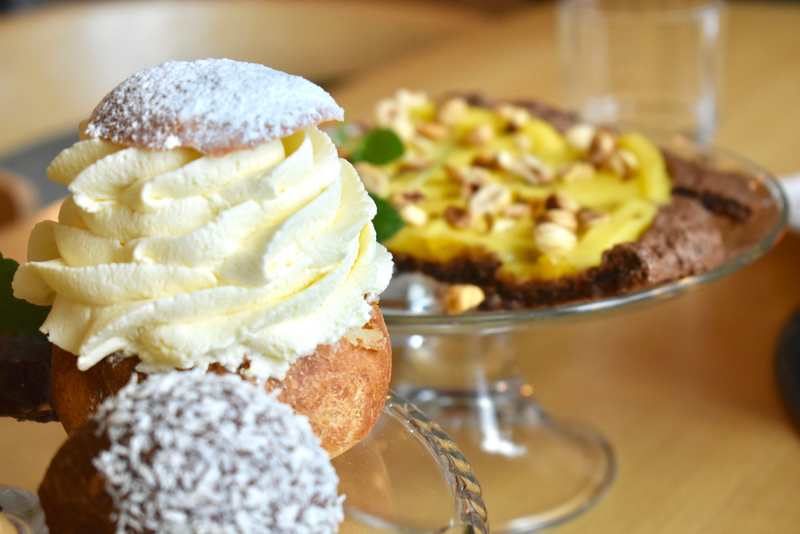 Swenströmskas is arguably the best bakery in the city and has won a slew of awards, too. 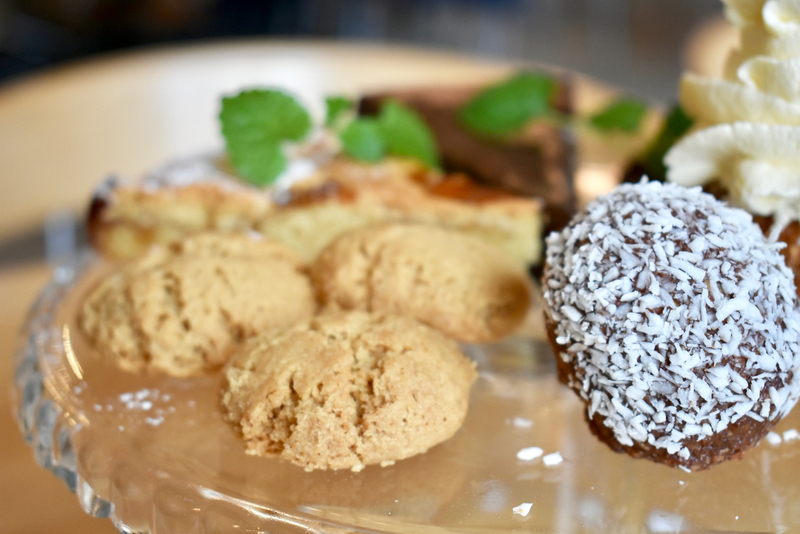 Not only famed for their breads and buns, the expansive cafe has great food and drinks and a lot of seating so it’s the perfect place for a morning bun, afternoon fika or just a lazy couple of hours typing away on the laptop and grazing! They also have a branch in the local Galleria Duvan shopping centre, too. Adjusting to the temperature can be a little daunting, especially if you arrive in darkest (but prettiest) winter like we did. But whether you’re here in Spring, Summer, Autumn or Winter, the local swimming pool and spa is always worth a visit. 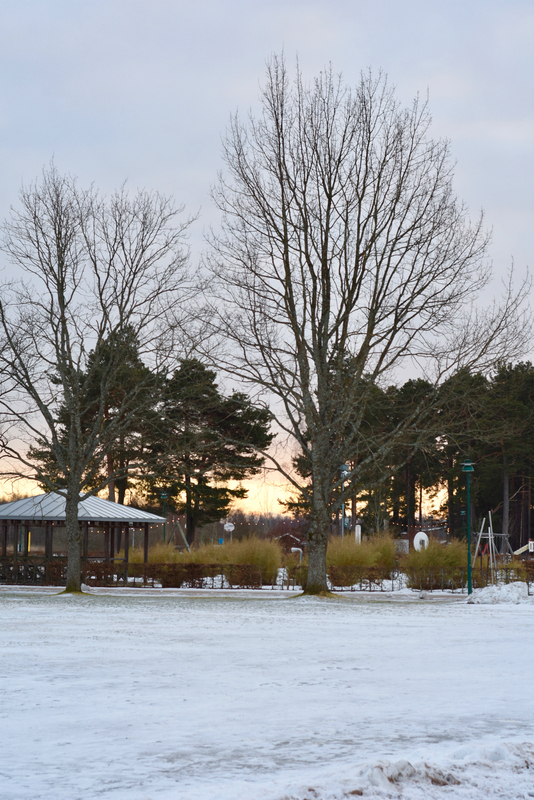 Begin your trip with a relaxing break in the sauna, steam room, hammam and outdoor jacuzzi at Sundstabadet. 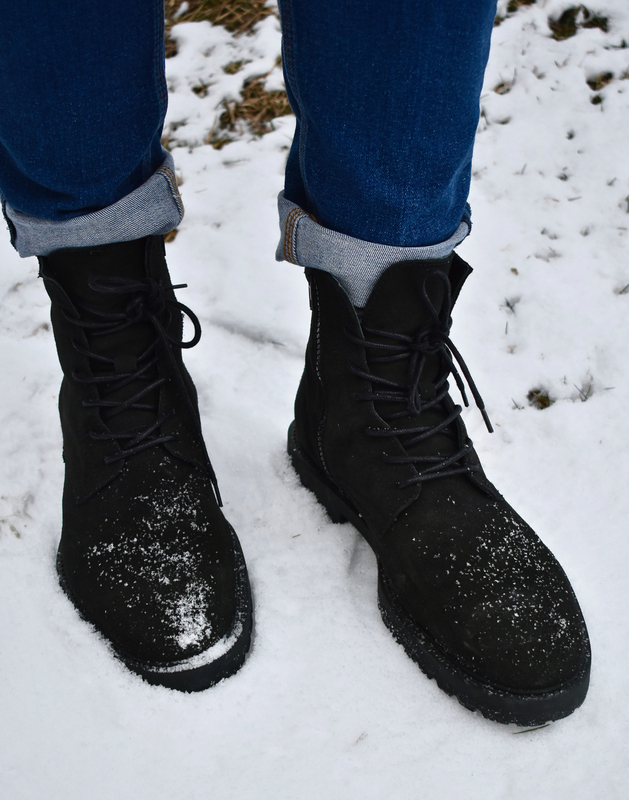 Can’t recommend this enough in the colder months as both the hot and cold helped our bodies adjust quickly to the temperatures we weren’t used to. Better yet, time your visit near to sunset and watch the sun go down whilst lounging in the outdoor hot tub enjoying the contrast between freezing cold and comfortably hot. Blissful! 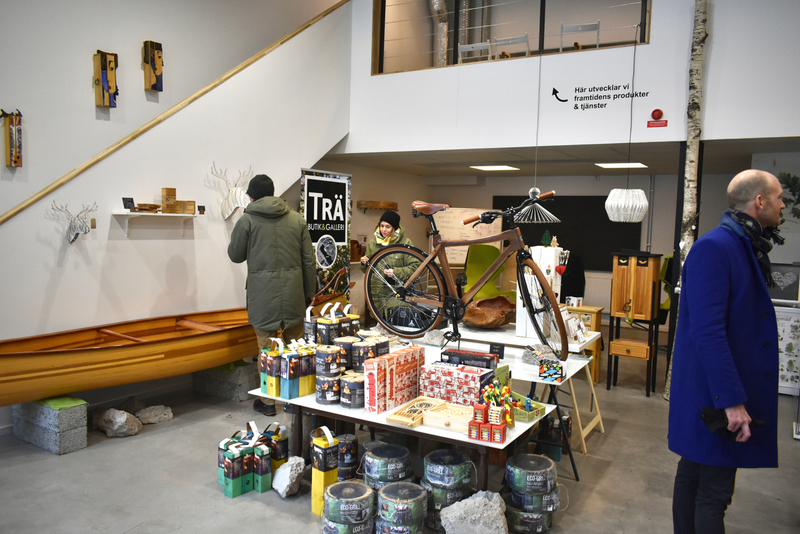 Trä is an incredibly unique craft store in Karlstad. 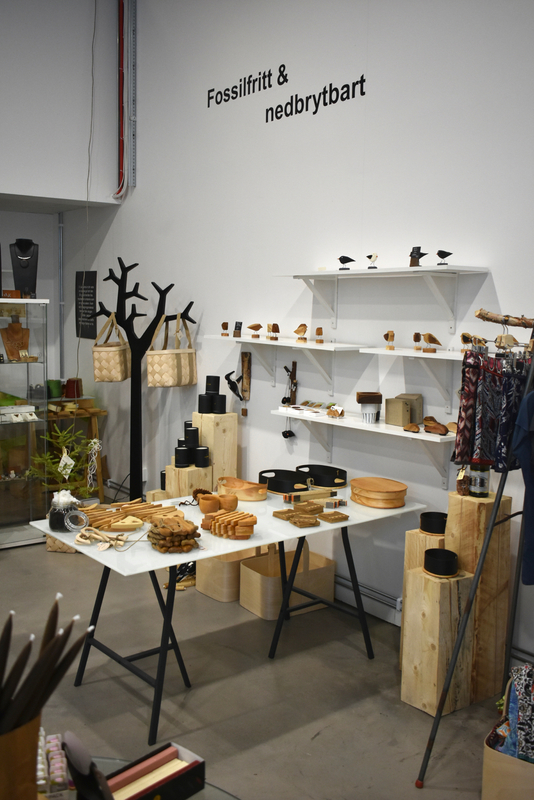 Recently re-opened with a new direction, the name translates as ‘wood’ and everything in the store comes from wood (or at least bamboo) and you wouldn’t believe the variety of interesting products humble wood can produce and all the gorgeous gifts this place stocks. 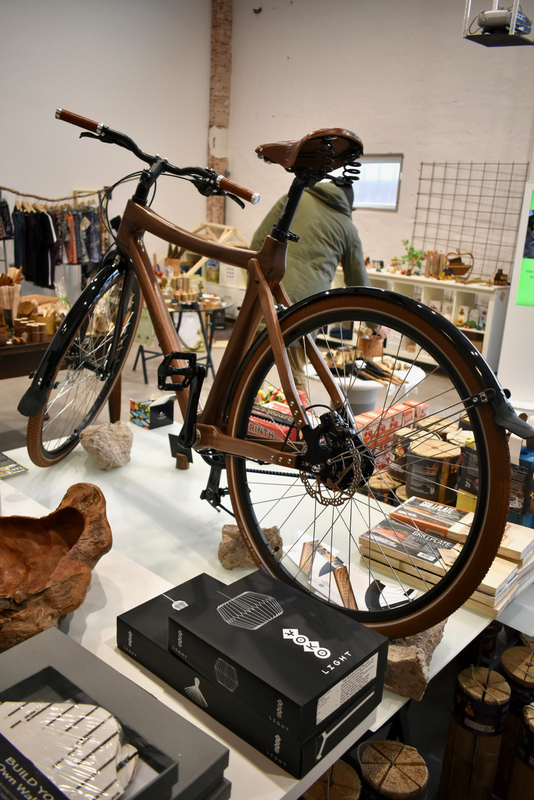 From tiny ornaments to clothes, kitchen utensils to toys, jewellery to food, you could easily spend an hour in here appreciating every little thing, and it’s so warm and welcoming too. 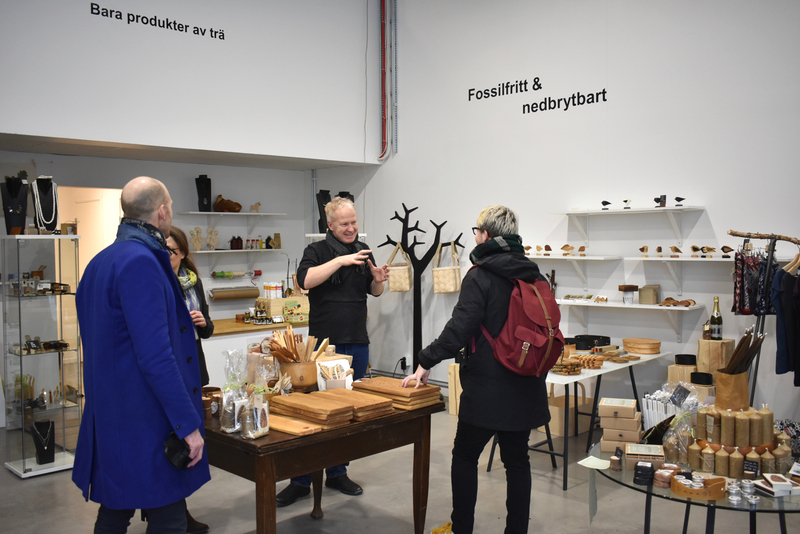 We stopped and had a chat with the owners Lars Sandberg and Lena Hedberg, who even offered us a sip of some birch wine made in Sweden alongside some birch sweetener, kind of like a floral honey-meets-maple syrup, whilst telling us all about the concept here. 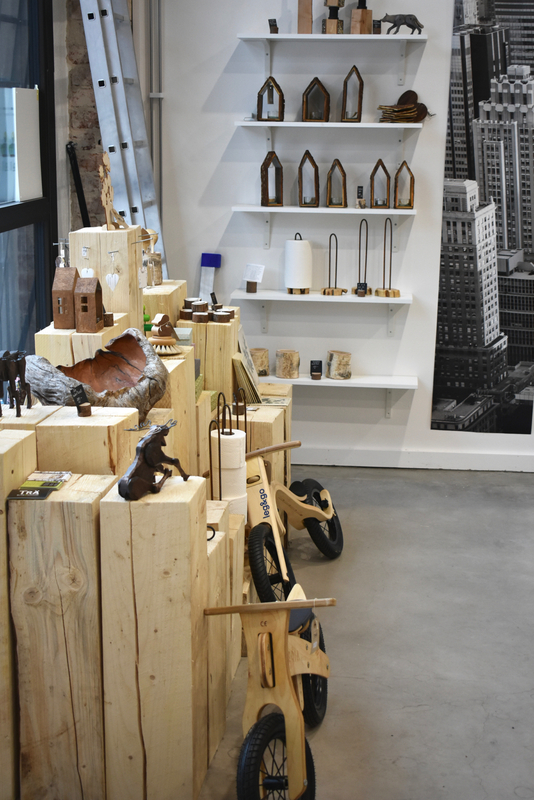 We were blown away at the sheer scale of products, and it’s a local affair too as they prioritise local craftspeople. 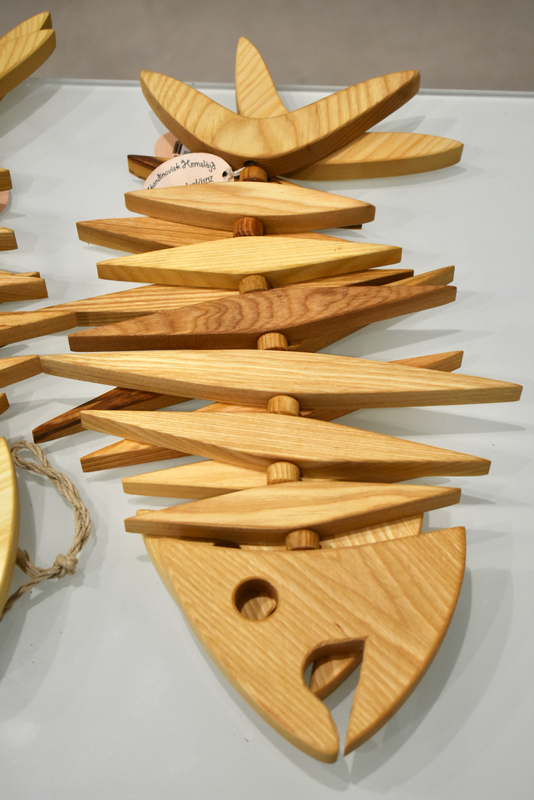 They were inspired to celebrate wood craft as, in their own words, it’s what Värmland is all about – everywhere you go there are trees and forests and shrubs. From thickest winter to warmest summer, the tree really is an icon of the area. Then, to the lungs of the city. 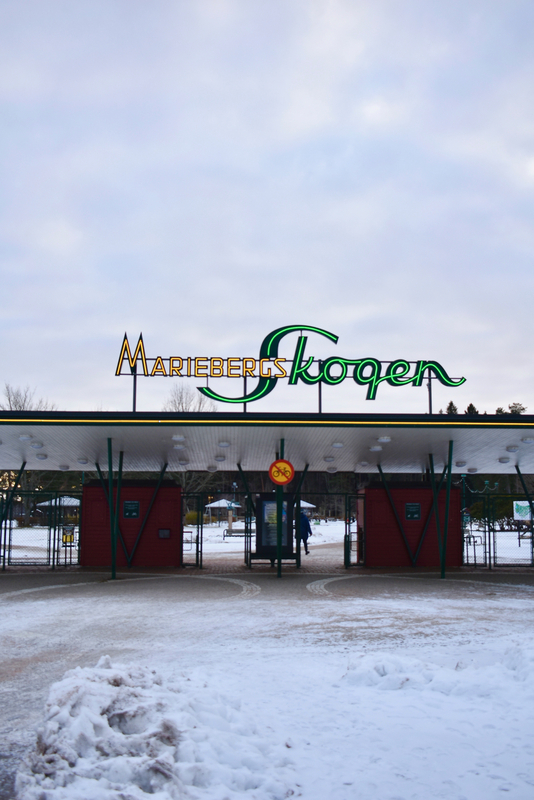 Mariebergsskogen is a vast nature reserve with stables, mini golf, outdoor pool, ice skating rink and lots more to keep everyone in the local area happy and entertained. A wonderful spot for families, it’s open year-round but really comes into its own in spring and summer. 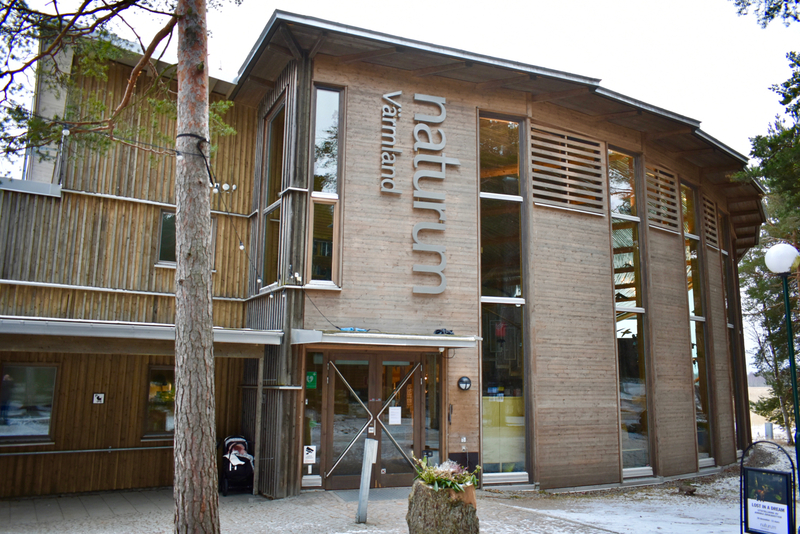 There’s also an exhibition space and café called Naturum a couple of minutes walk inside the park, right by the shores of the lake. 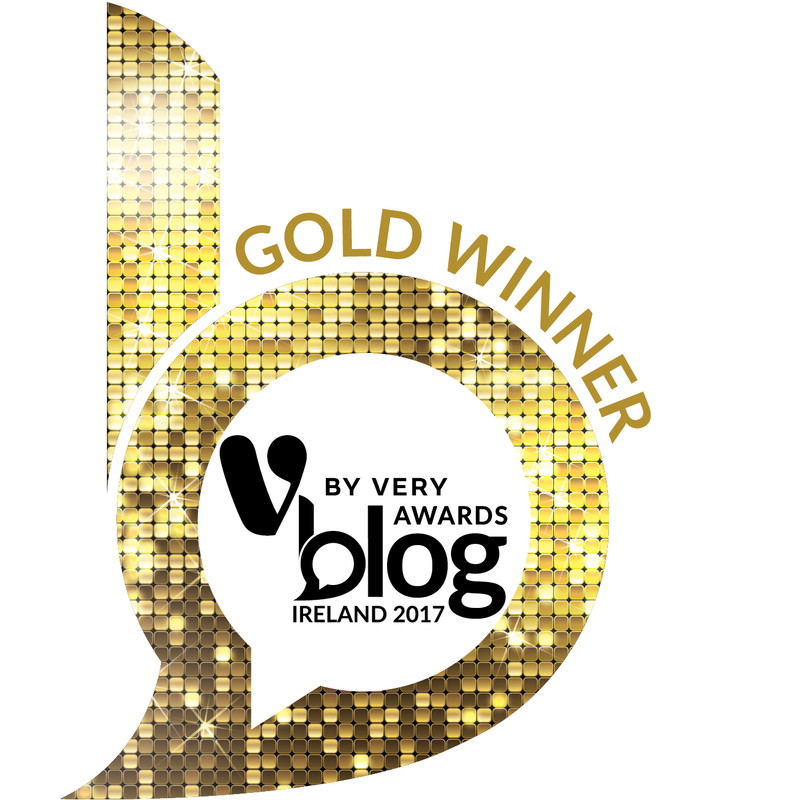 We had bowls of warm vegan soup with fresh bread followed by a selection of their homemade cakes with coffee – including two local sweet treats you should definitely seek out if you’re visiting the area. 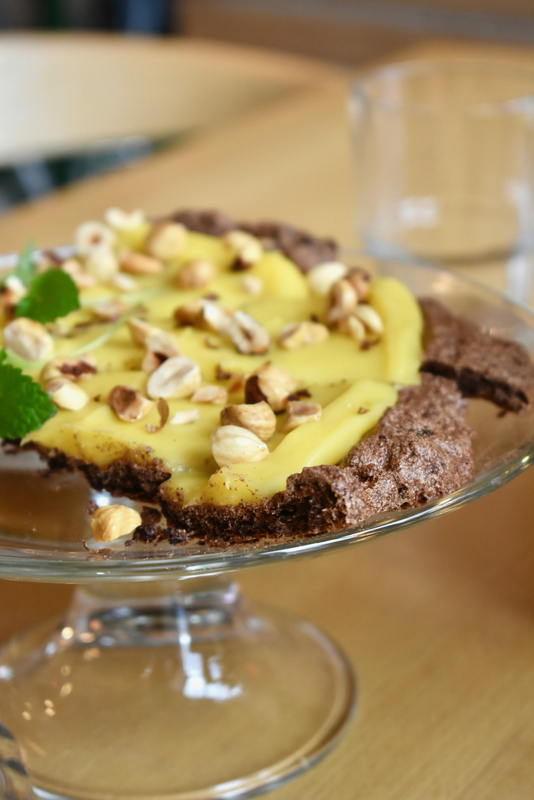 Värmlandstårta (verm-lands-torta) is a gluten-free local cake made with a kind of meringue, cookie cocoa-flavoured base, topped with a generous layer of buttercream and scattered with toasted hazelnuts. Served in slices, it’s light but indulgent at the same time. Skrädmjölsdrömmar (scrad-myols-drammar) are little oat cookies that are native to the Värmland region and until recently almost disappeared but are now being embraced again. Dry but with that comforting, lengthy creaminess that ground oats afford, these special little cookies are actually being applied for for GPI status, we hear on the grapevine. 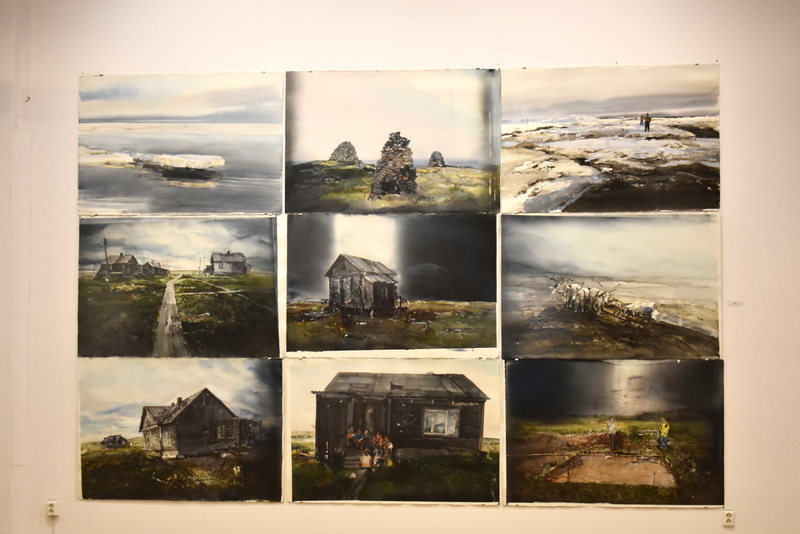 One of Sweden’s most famous painters, who is also pretty much a household name in Norway too, Lars Lerin owns and operates his living museum at Sandgrund. 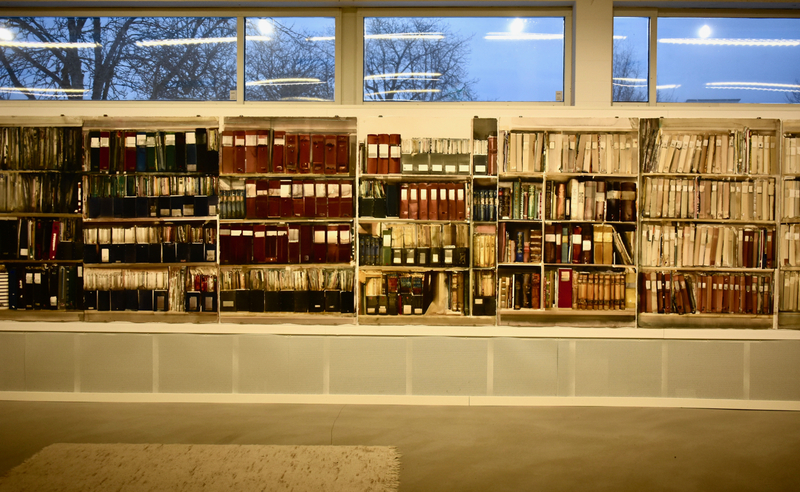 The name of the museum predates his work as it was a popular local dancehall in the Sixties, and even before that a restaurant that was burned to the ground. After its glory days of hosting teenage dance nights, the venue fell into disrepair before Lars and his partner took it over. But some heralds of its bygone days still remain – including the dancefloor! 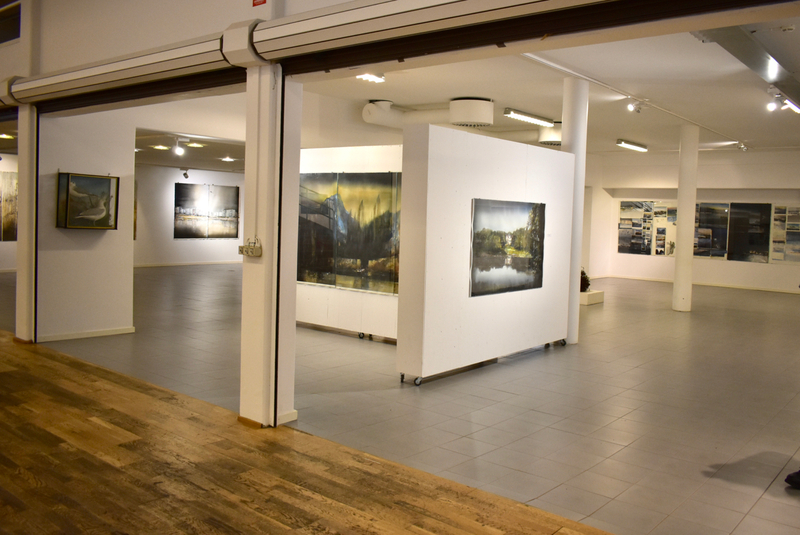 Born in Värmland in 1954, for the past 30 years Lars Lerin has been one of the most notable Scandinavian painters, portraying landscape and light with unbelievable technique. 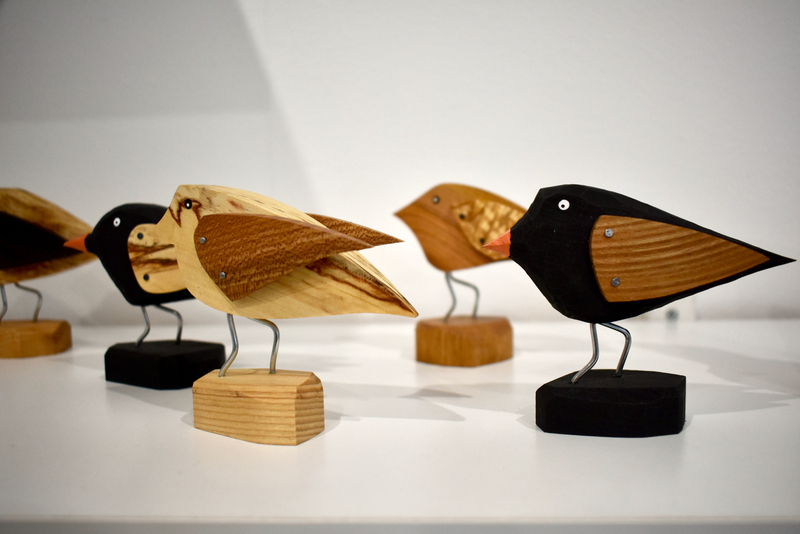 He focuses on architecture, animals and the play of weather, mostly. 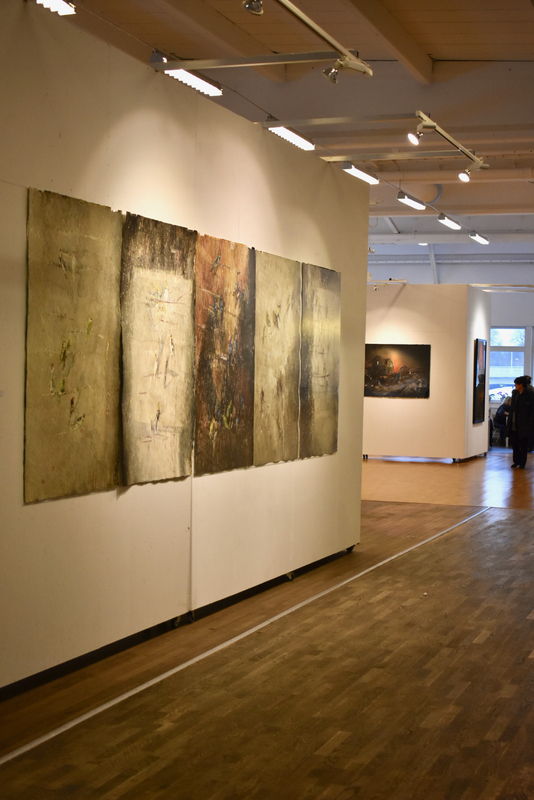 We’re not the biggest art appreciators if truth be told but hand on heart Lars’ work really captivated us and we both left the expansive museum feeling really honoured to have stood in front of so much of his work. He and his partner Manoel run the living museum and Lars insists on hanging every new piece himself, so you really feel the hands-on element and presence of the artist here. There’s also a quite large café here too. 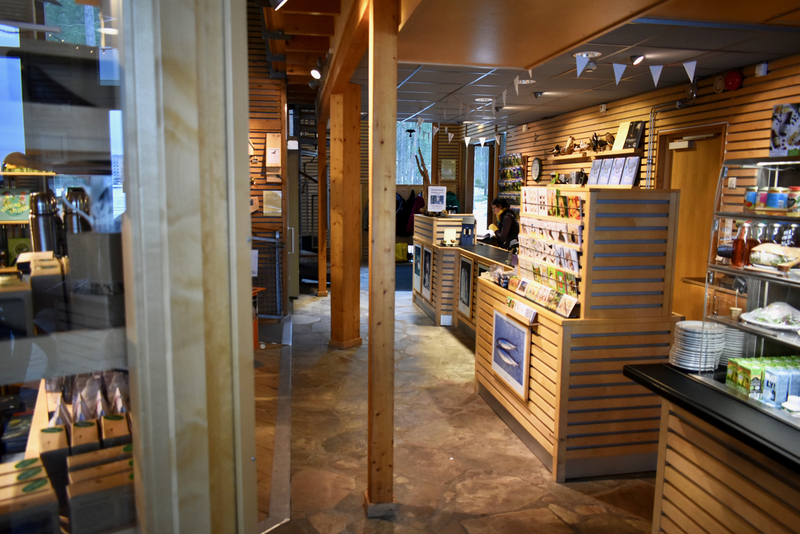 Closed Mondays, Tuesday to Sunday 11am – 4pm and entry is 80SEK per person. 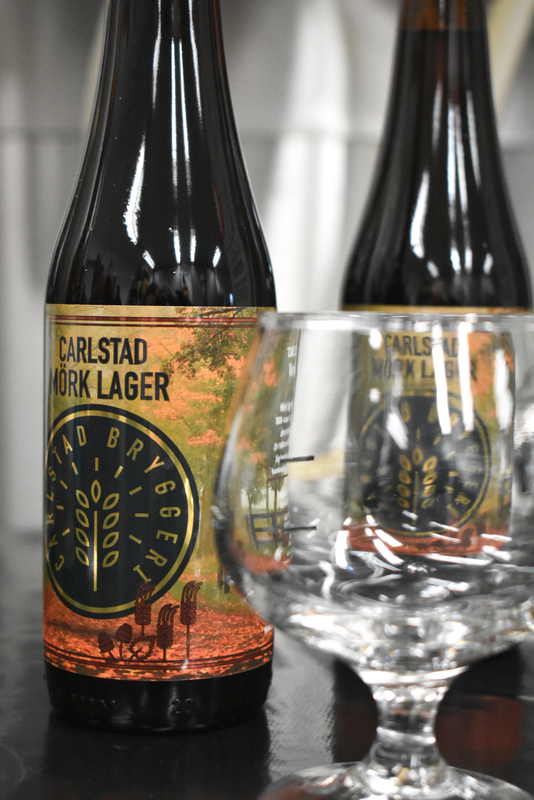 Now, for something we want you to look out for: Carlstad Bryggeri. 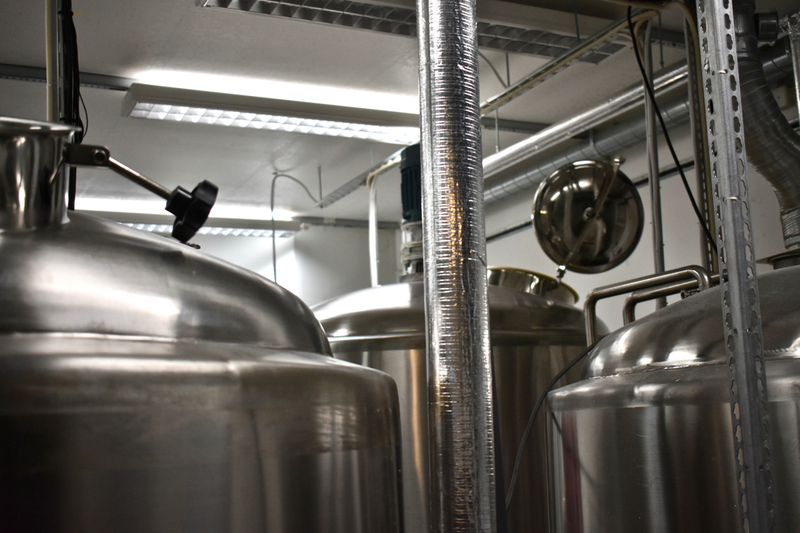 Göran Larsson and his partner Katharina have dedicated their lives to brewing, having both given up their jobs and begun a microbrewery in an outbuilding on the small plot of land around their house. 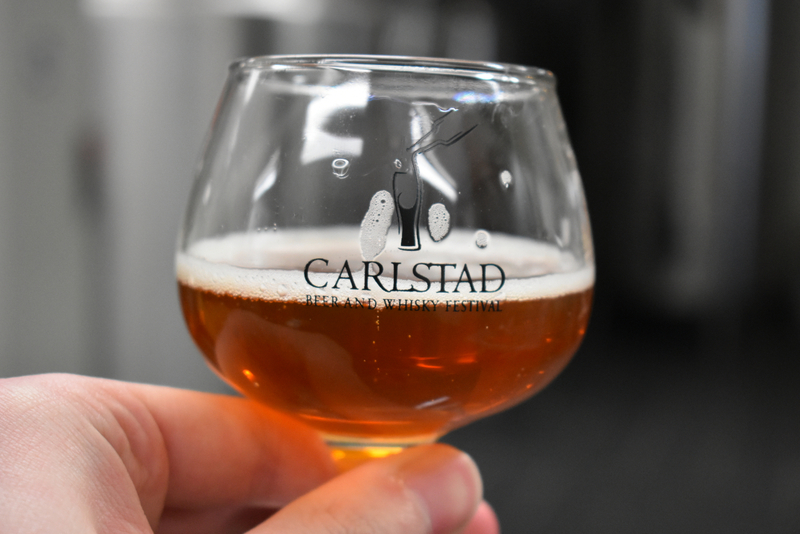 Since Göran got a masterbrewer degree in Berlin some years ago, the couple have been been quietly brewing some wonderful, clean, non-bitter German-style brews just 20 minutes outside Karlstad city and they are already well-known around the region. 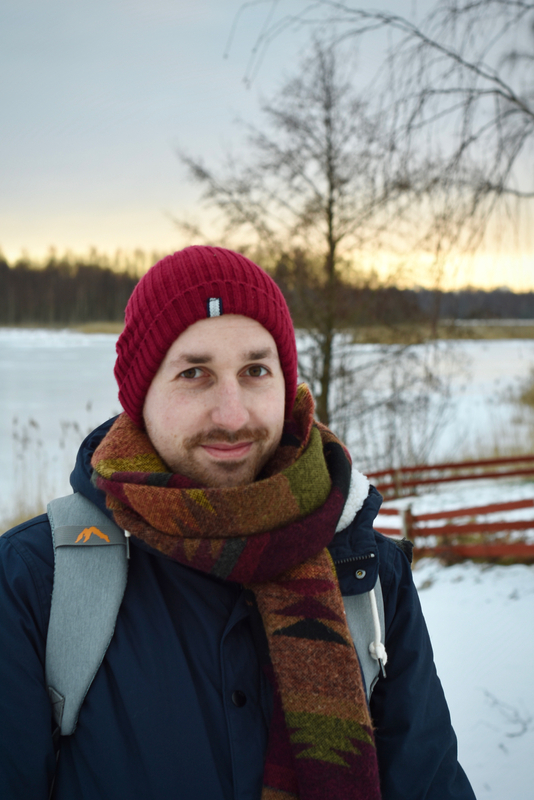 Having been injured in a work accident, Göran decided he needed a change in his life and with a lump sum he put it towards retraining in something to get a better quality of life. Brewing seemed to crop up out of nowhere as a unique and unusual thing to study, and so he did and the rest is history. 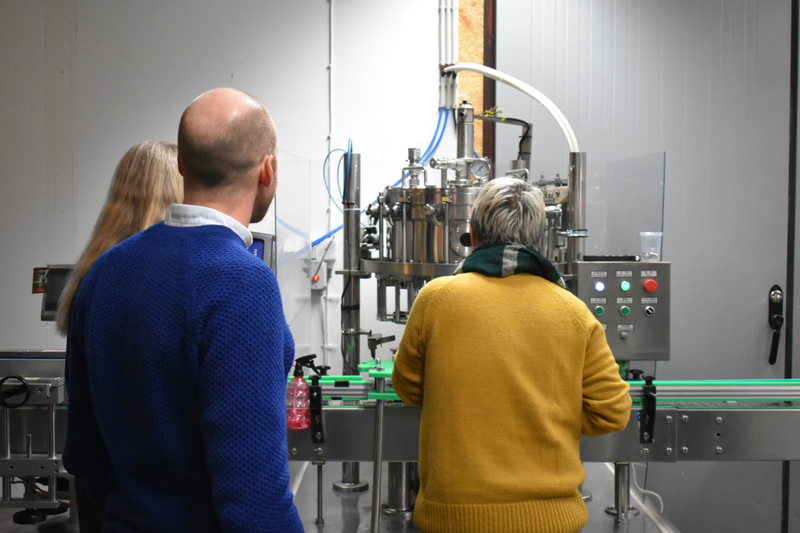 Stocked in local Systembolaget (the government-owned off-licence brand across Sweden), we travelled up to their site to taste some brews alongside some local cheeses and fell in love with their little plant, their passion and their story. 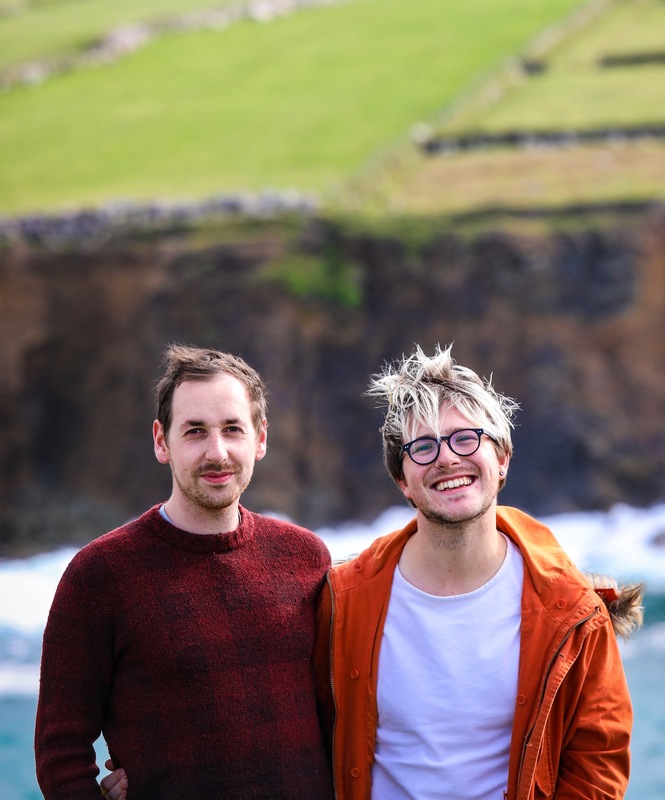 A really honest, hard-working two-person team (now where else would you find one of those…. ?) and they are strict about what they do and what they don’t do. 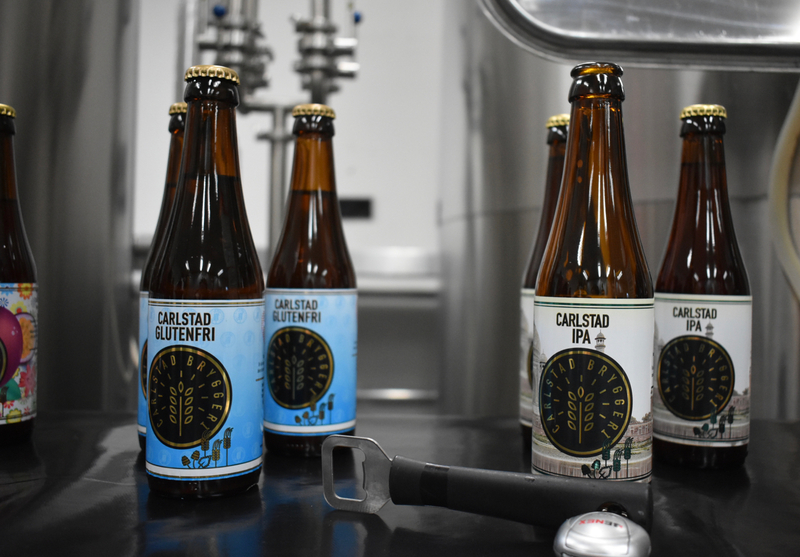 They’re focused and smart, not to mention producers of some of the nicest, more traditional styled craft beers that we’ve had in years. 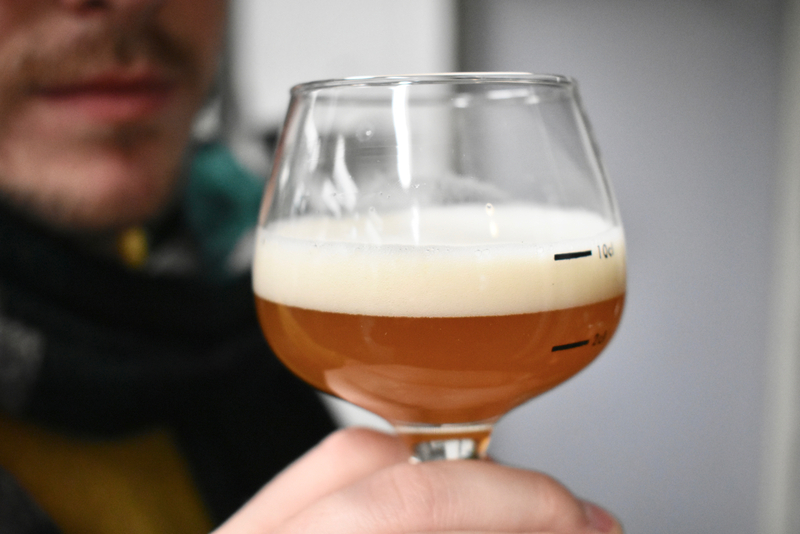 You see, they predict the trend in craft brewing will go back to the more traditional central European styles after the craze in creating wild, wacky and almost hard-to-drink craft brews subsides. So they are sticking to what they do and already seeing more and more success, year-on-year. 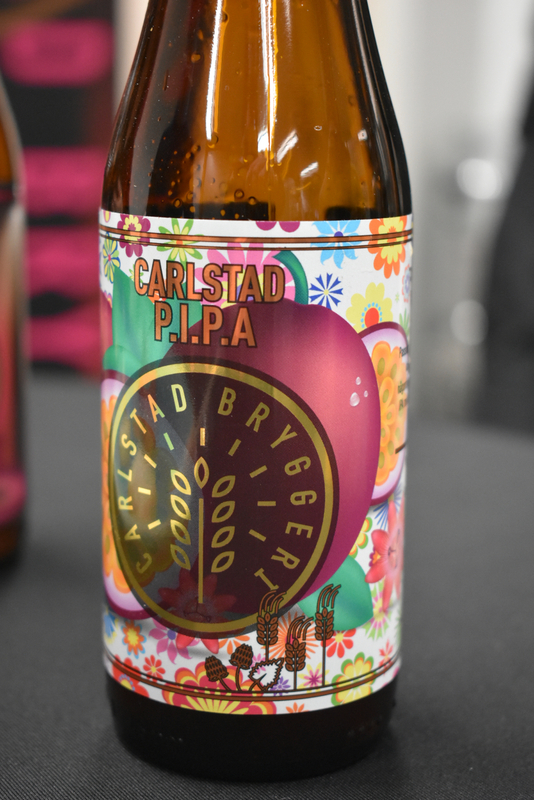 Not available outside Sweden just yet… maybe we’ll be able to source these in Ireland one day! 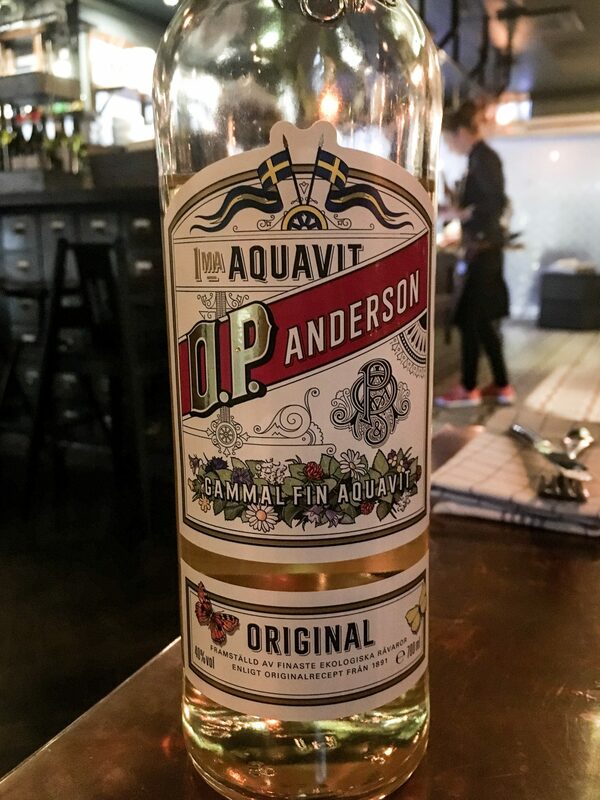 Plenty of bars around Karlstad serve this local product, so worth keeping an eye out and trying out. 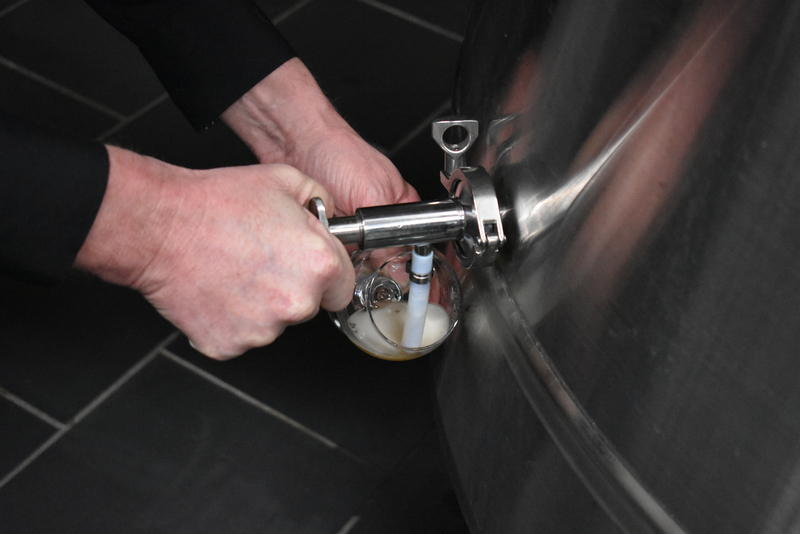 We particularly enjoyed the passion fruit IPA. 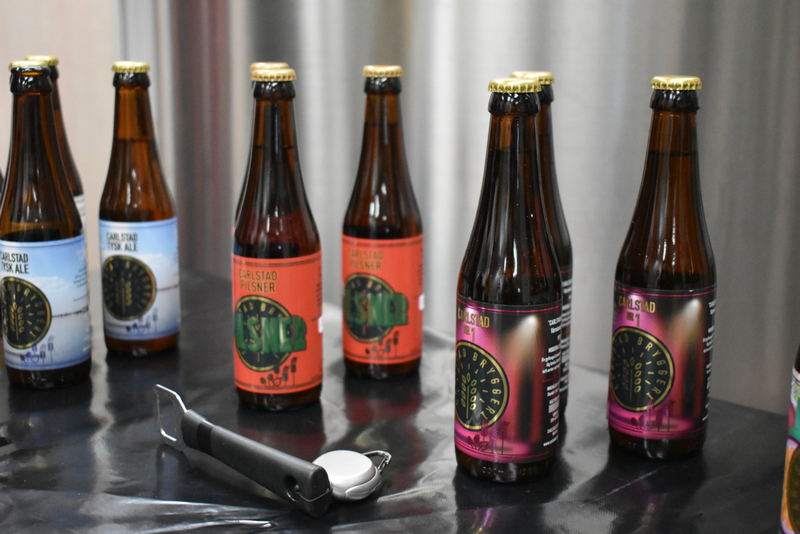 If craft beers are your thing, we got were told that Good Guys Brew, right beside Trä is an excellent spot for sampling – it was unfortunately closed whilst we visited, so we never got to try but their beers are stocked in Systembolaget and in several local restaurants, so we tried their beers in that way! 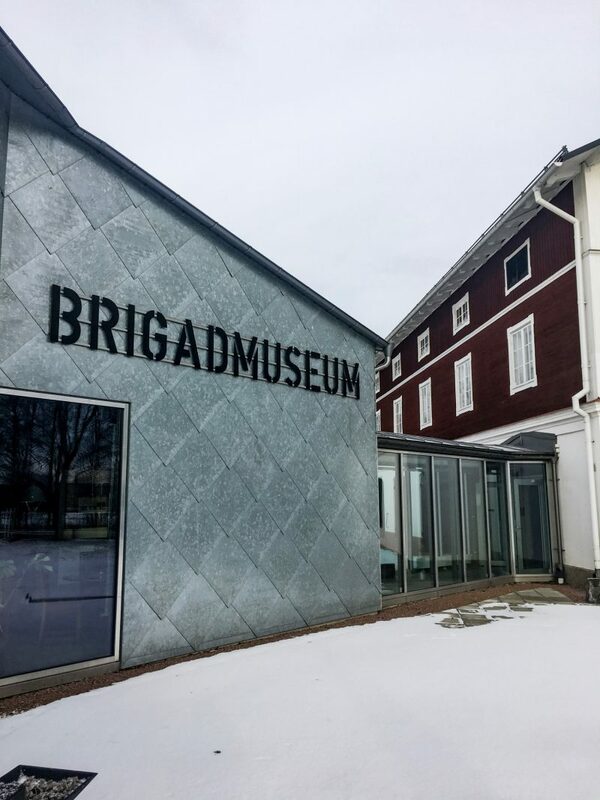 Telling the story of the Swedish participation in the Cold War and beyond, the Brigadmuseum is a wonderful insight into Swedish conscription, military practices and life in general in Sweden from 1945 ’til 1991. The ‘Golden Age’ of the Swedish military, even if you’re not interested in war or combat paraphernalia, it’s incredibly interesting and interactive with English subtitles on pretty much everything. 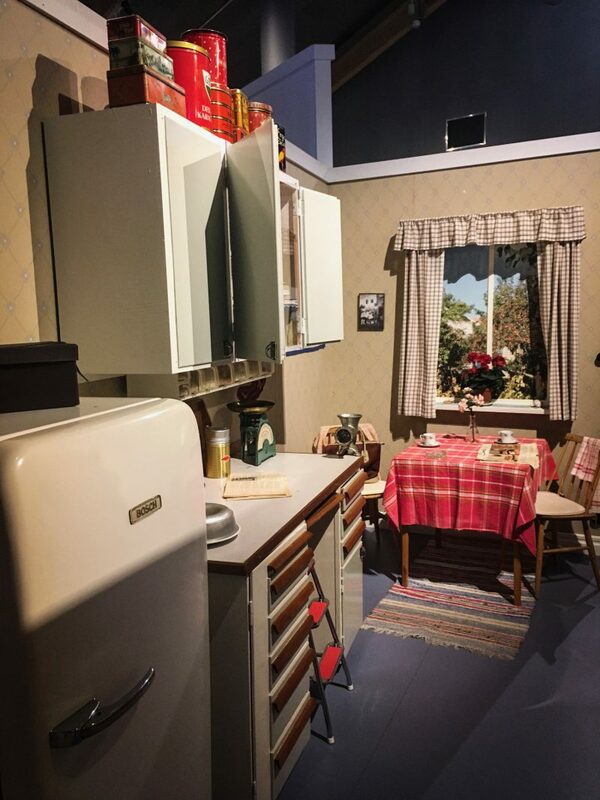 There’s also non-military aspects too, documenting Fifties-style Swedish kitchens, Sixties style dance halls and Seventies style living rooms. 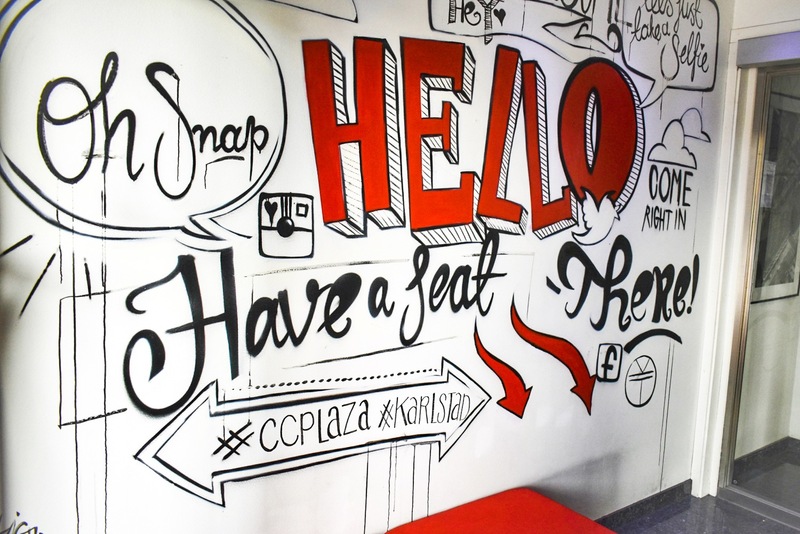 A café at the entrance is cosy and smells amazing with freshly-baked organic treats and delicious sandwiches. 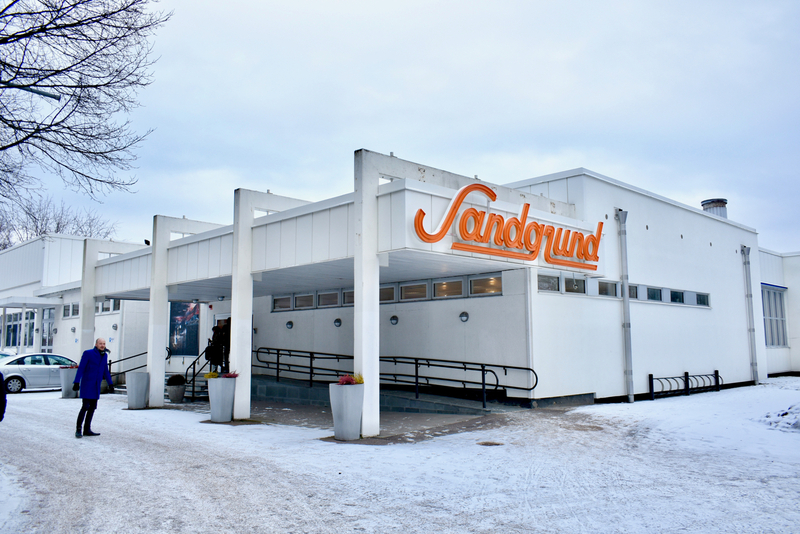 We really recommend this and we’re so glad we managed to squeeze a visit here as the last thing we did in Karlstad before running to get our train! Closed every Monday, they open weekdays at 10am, weekends at 11am and close at 4pm. Entrance for under 20 years old is free, students/OAPS receive a discounted entrance of 60SEK and general admission is 80SEK per person. 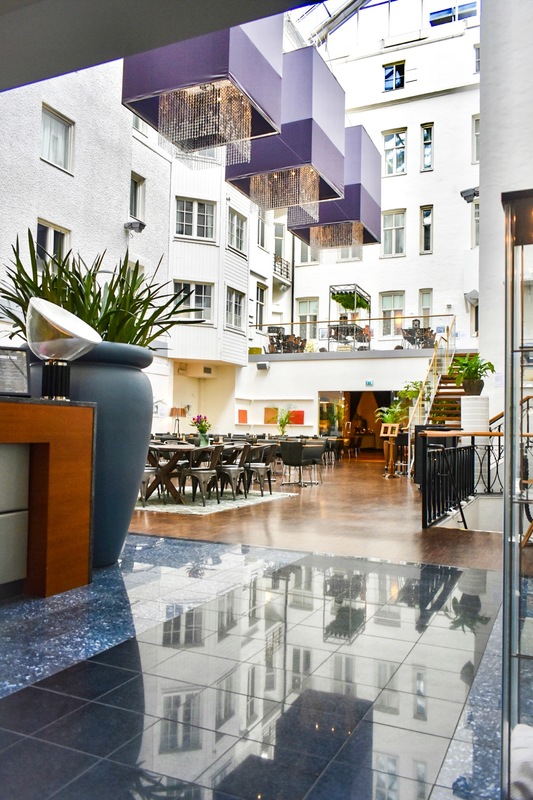 The Clarion Collection Hotel Plaza is located directly across the road from Karlstad’s train station, but also moments away from the main shopping street in the city, Drottninggatan, and generally perfectly placed for exploring the city by foot. 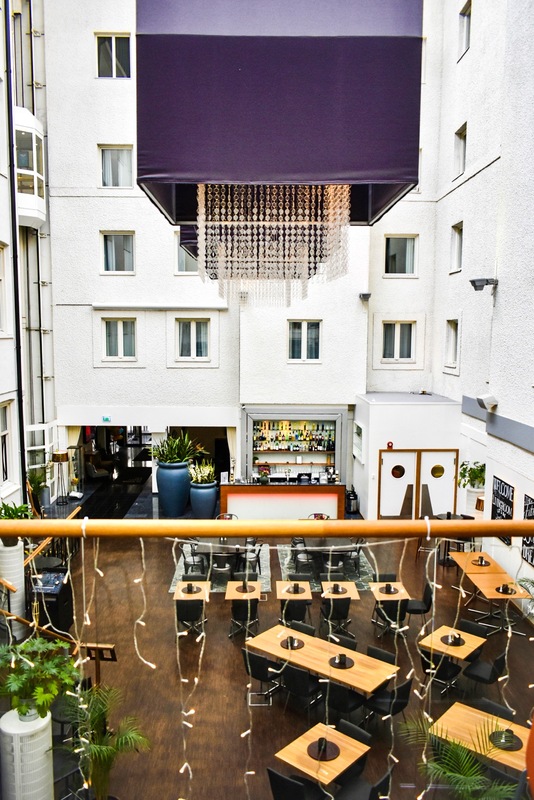 The building is steeped in history, as it was formerly a prison and museum but now has been repurposed as a functional and fantastic hotel with some unique features, such as a glass lift looking out on to the stunning atrium whilst some rooms also face inwards toward the atrium. Breakfast is a knock out, with a huge buffet spread including a make-your-own waffle station. 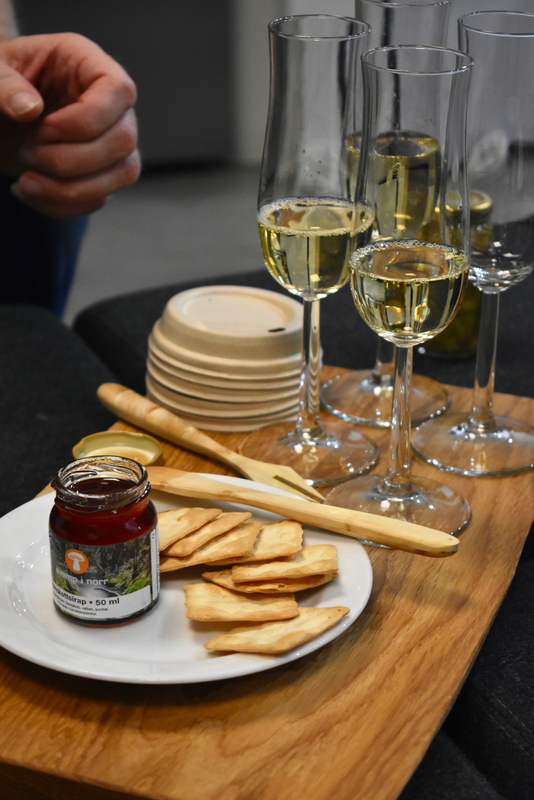 One of the great features is the buffet-style evening meal, which is available to all guests in the Bubbles & Beers bar at the front included in the price of your stay. 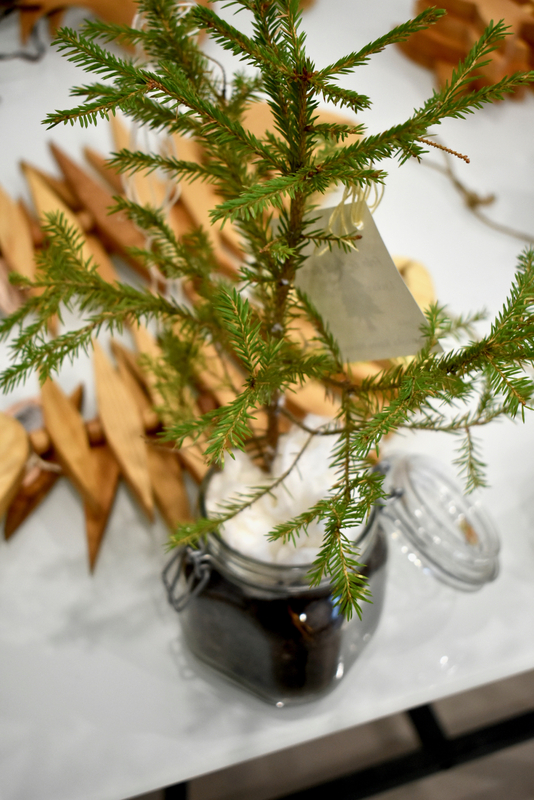 Between 6 to 9pm, guests are offered a soup and main dish, followed by tea and coffee if you wish. A godsend if you’ve had a long day of travelling or just don’t fancy venturing out for dinner and also a great way to keep track of your spending! A rarity in hotels, and something we really cherished having available. 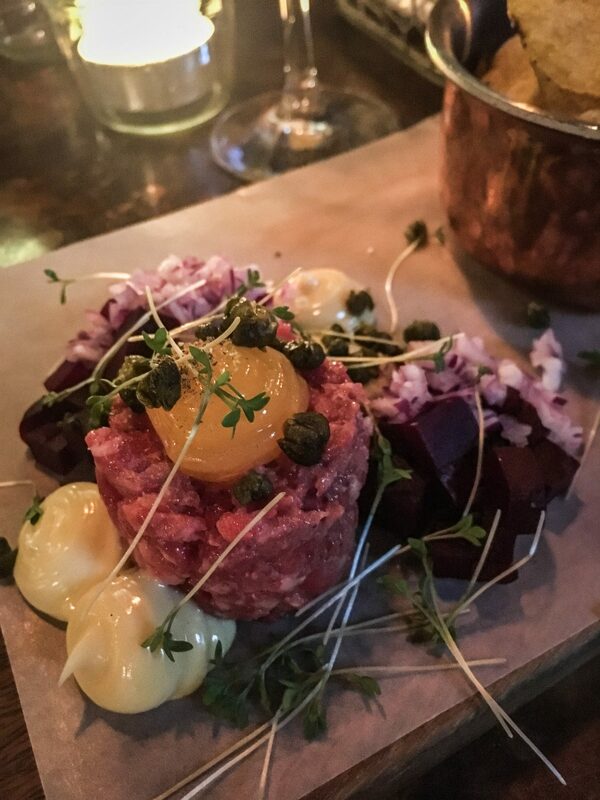 You would think something complimentary would be either cheap or lacking in flavour – trust us, here it’s absolutely neither. You can fly in to the small Karlstad Airport itself, which has flight routes via Stockholm and Frankfurt, but the best way to reach Karlstad by air is either via Stockholm, Gothenburg or Oslo airports and then onward travel by train or bus – it’s around 2.5 hours by train from all three and about 3-3.5 hours drive from any one, so it’s right in the middle. 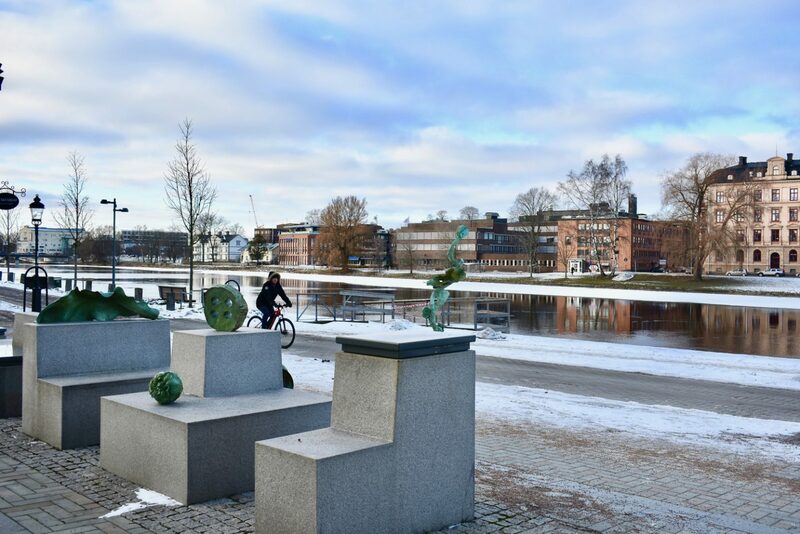 Karlstad is well worth considering visiting if you’re hiring a car and driving between any of these cities and exploring this unique area of Sweden. Trains from Stockholm Central are Oslo bound, and tickets can be booked via the Swedish Railways website. 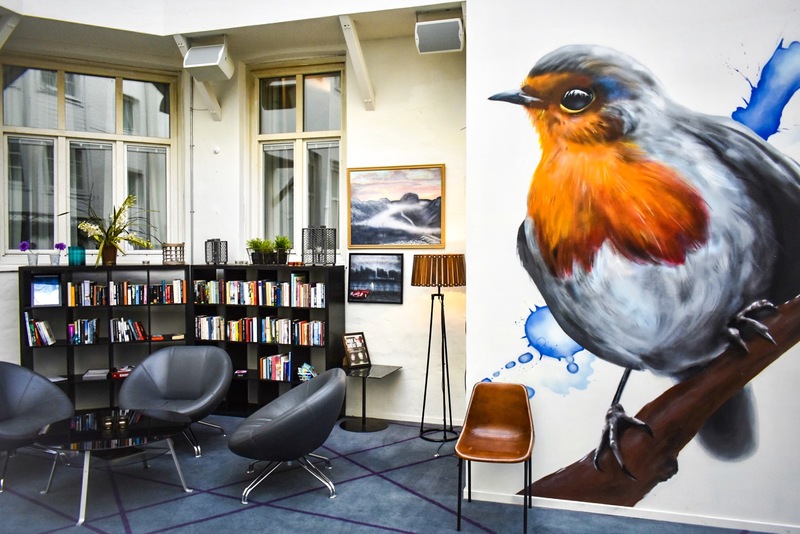 The city is popular with Norwegian, German, Dutch and Danish tourists but there’s a fast-growing interest from China and an emerging interest from the UK and other European countries. 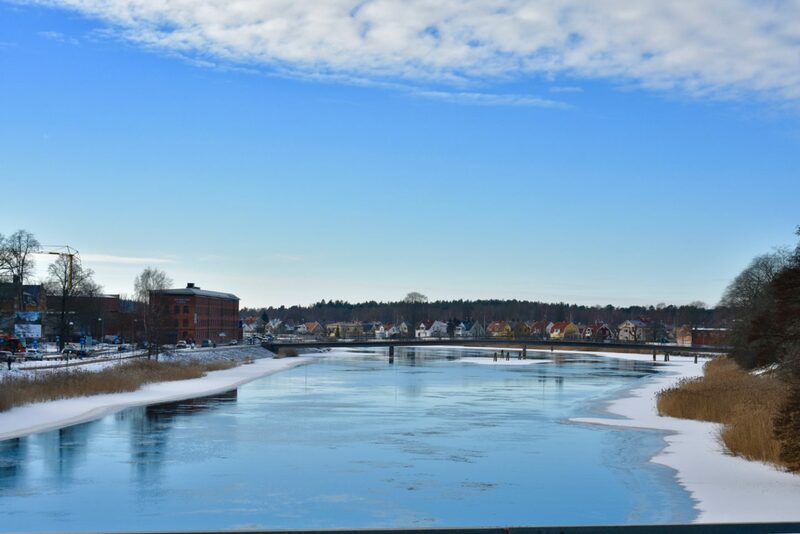 With endless water surround, snow-topped slopes, neighbourhood restaurants, top-class museums, great coffee and a fledgling brewing scene, there’s something in Karlstad for everyone. 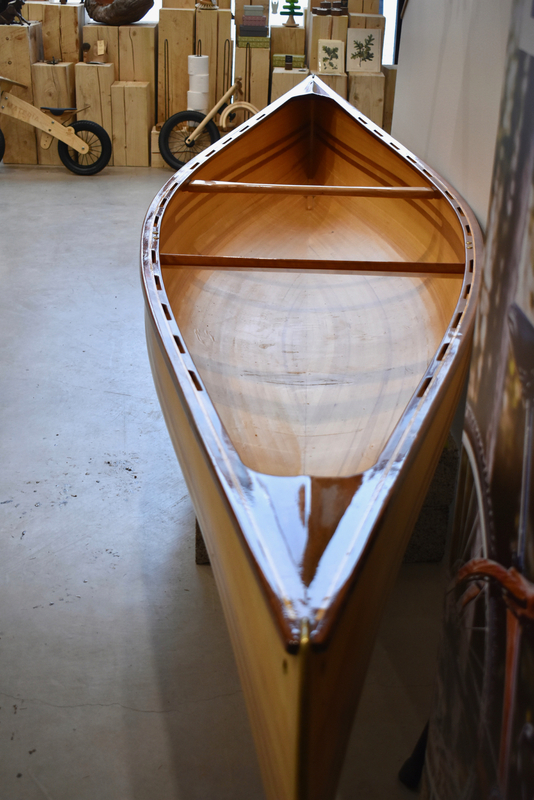 A huge thank you to Jonas Jacobsson and Visit Värmland for helping us out with parts of our visit to Karlstad, showing us around and hosting us. 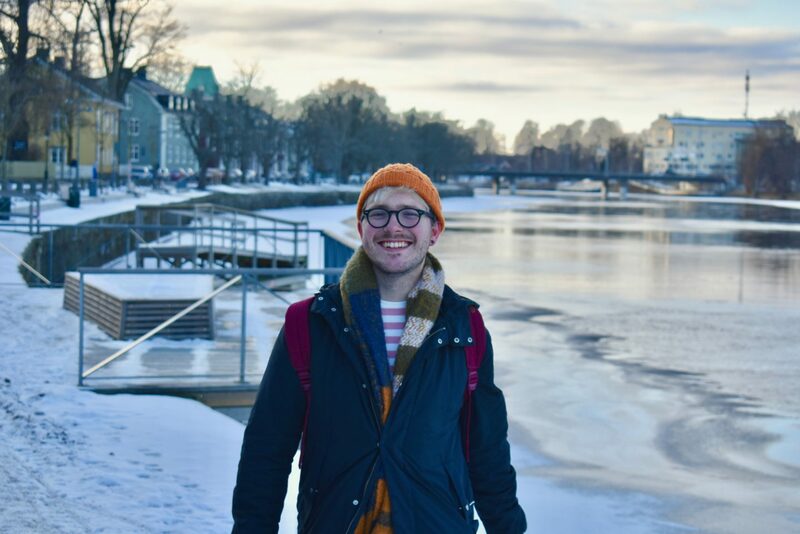 This is not a paid travel guide, but they did help us with a couple of complimentary activities and meals, for which we’re really grateful as we feel we explored Karlstad really well! 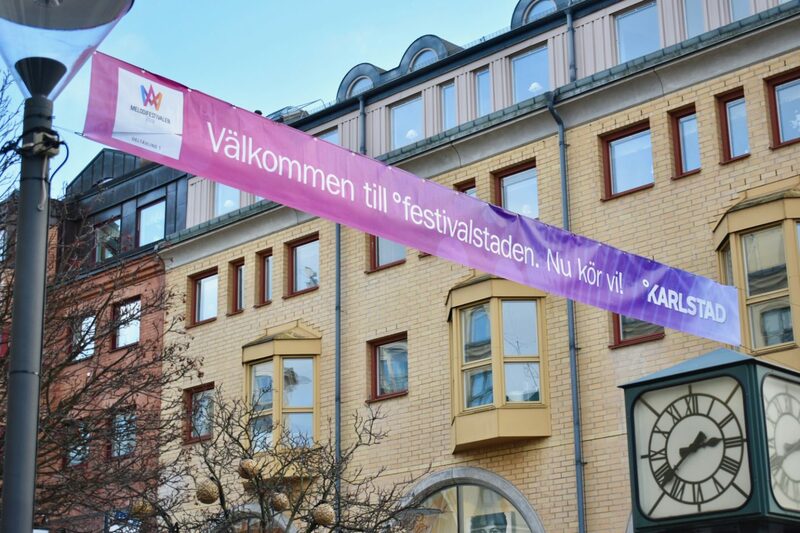 Take a look at the Visit Värmland website for more details on booking your own trip to Karlstad and the wider region. Read more about our trip by clicking the image above!